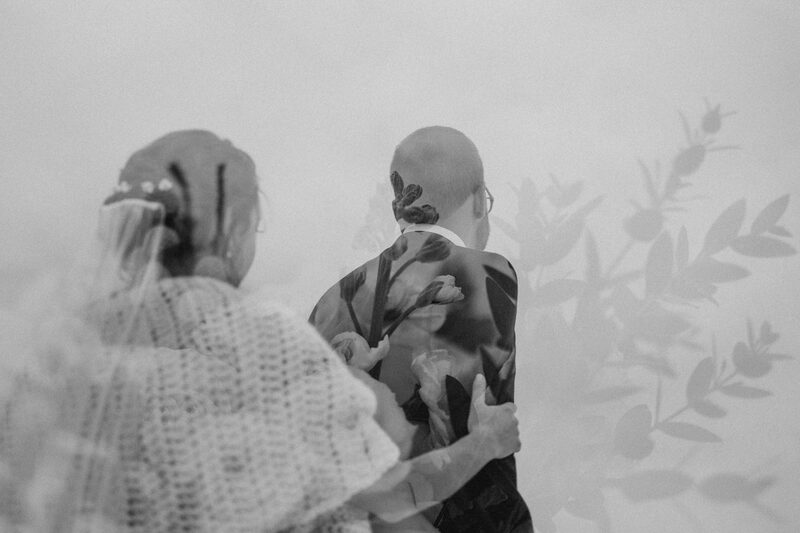 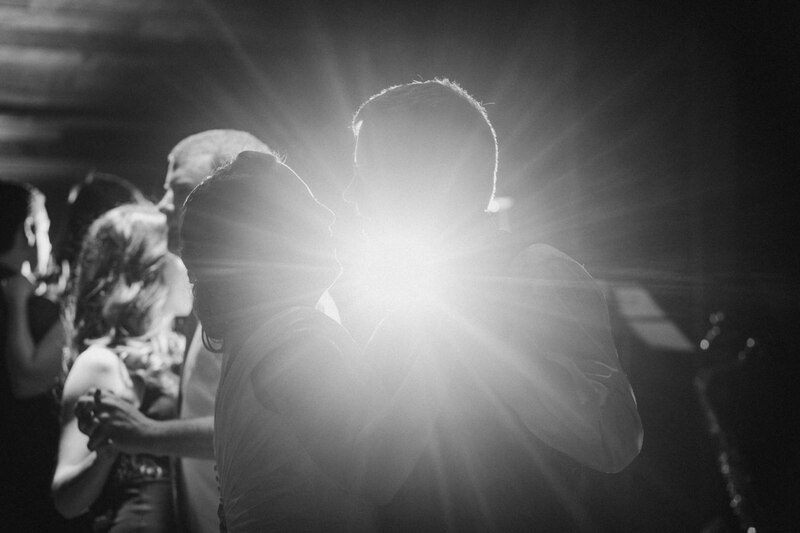 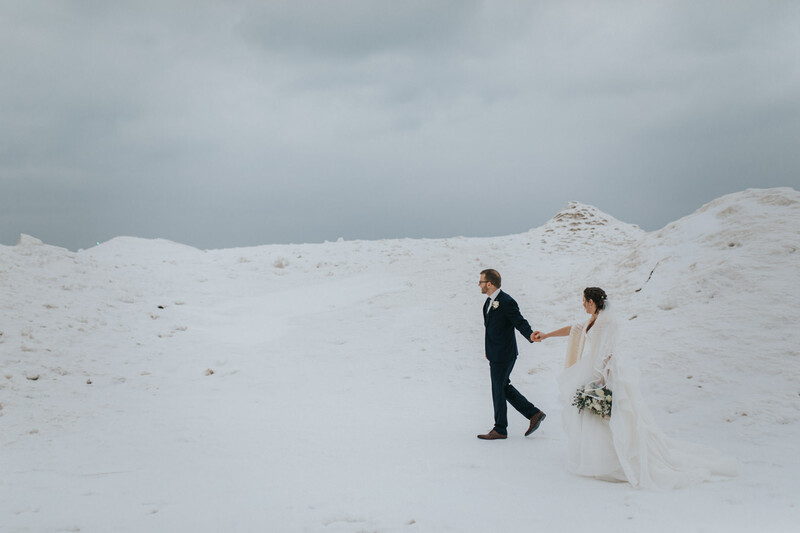 Andrea & Soren love to go on adventures and to explore new places together. 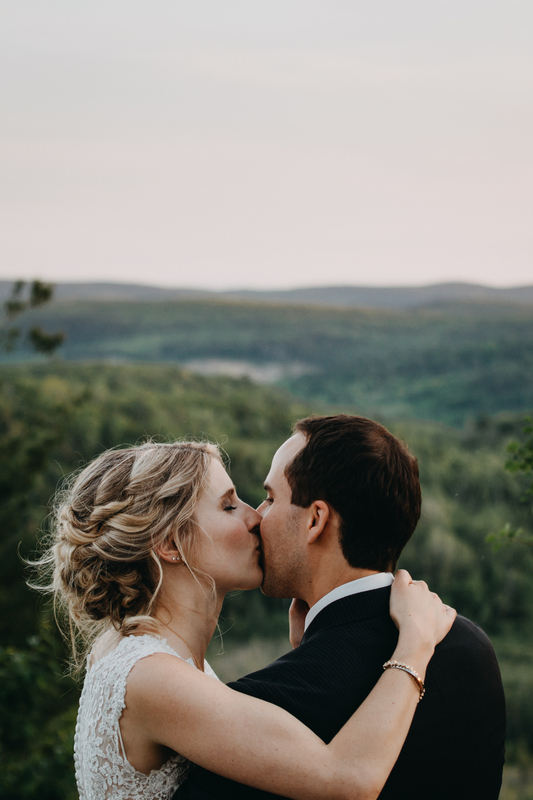 Last fall, the two of them decided to explore the Beaver Valley. 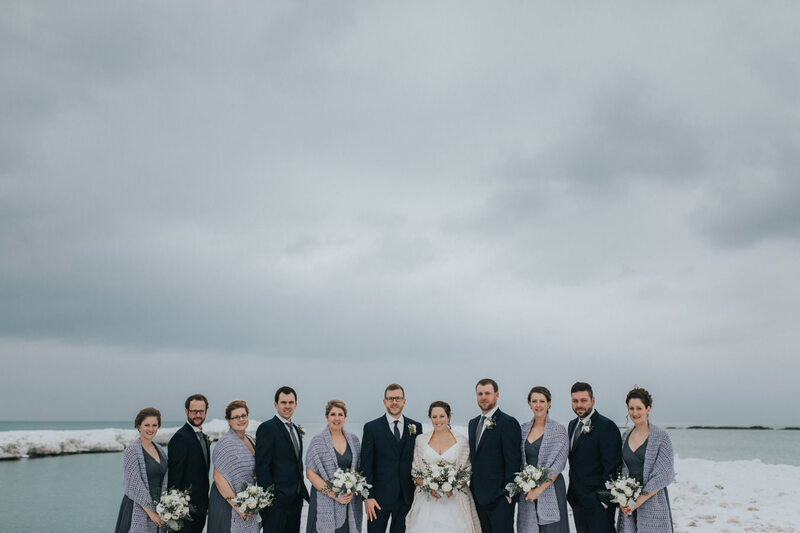 They set out in the morning on a gloomy, rainy day, with little to no plan. 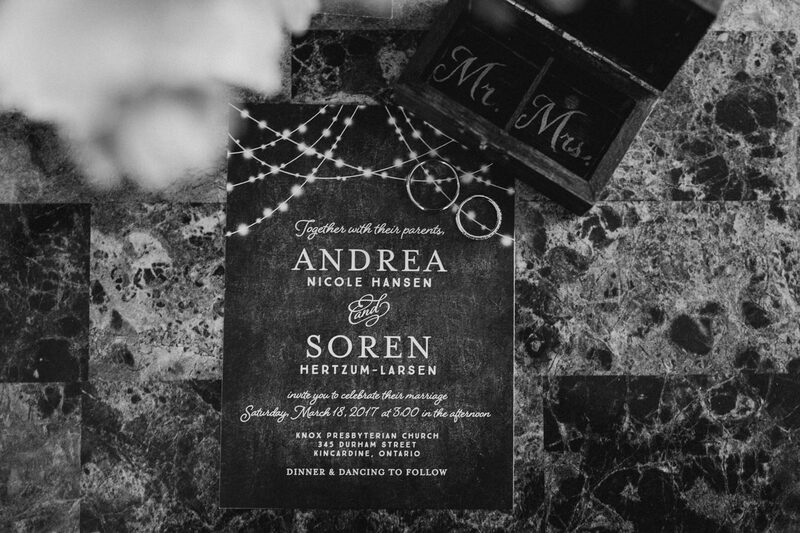 The path took them to a breathtaking waterfall, where Soren got down on his knee in the mud and asked Andrea to marry him. 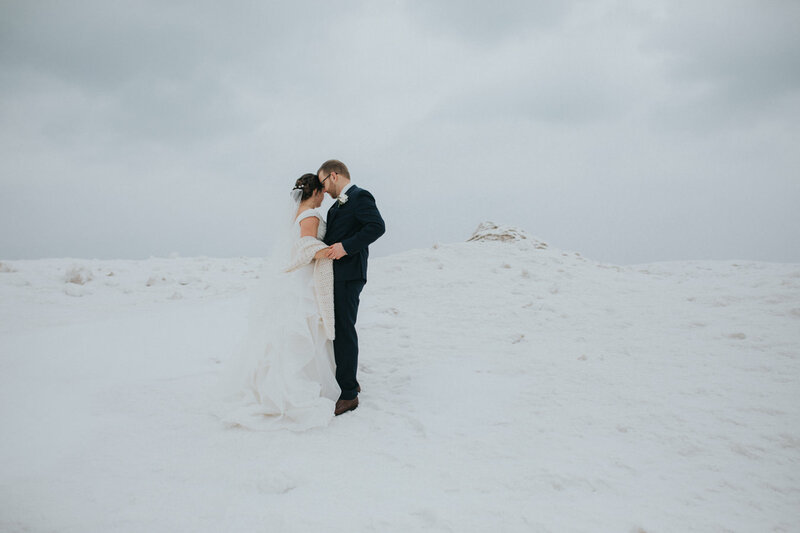 Weather does not seem to bother Andrea and Soren; instead, they embrace it. 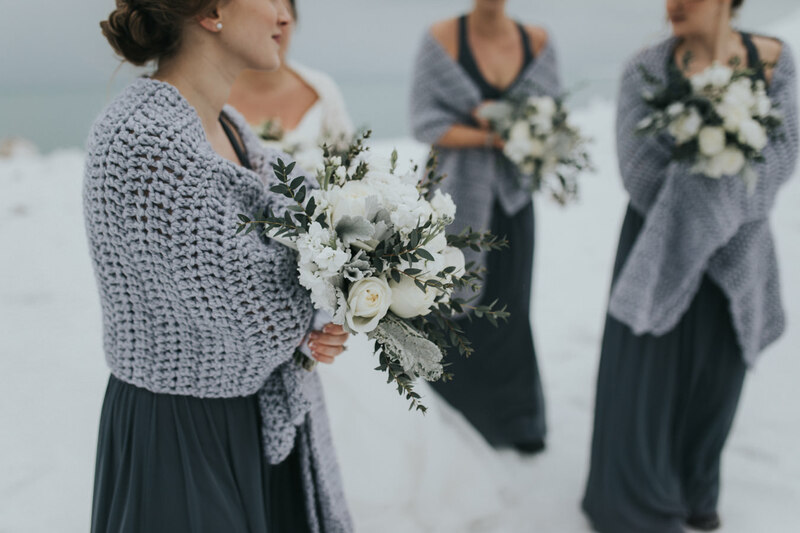 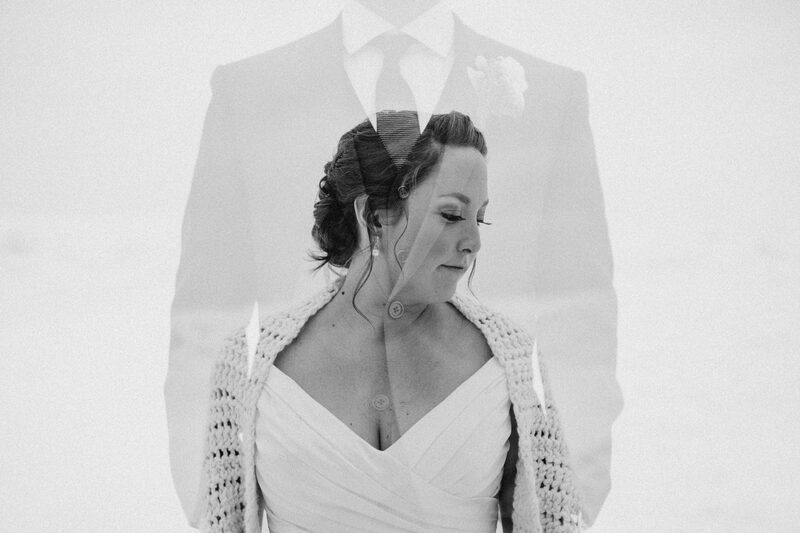 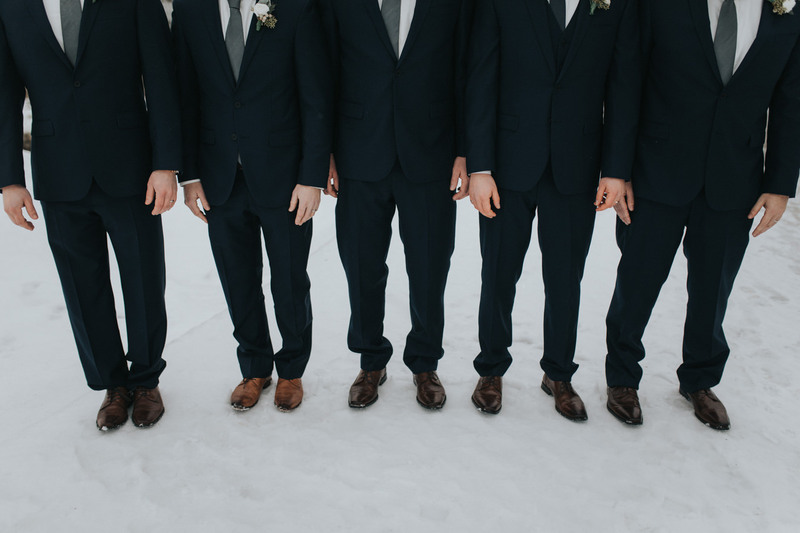 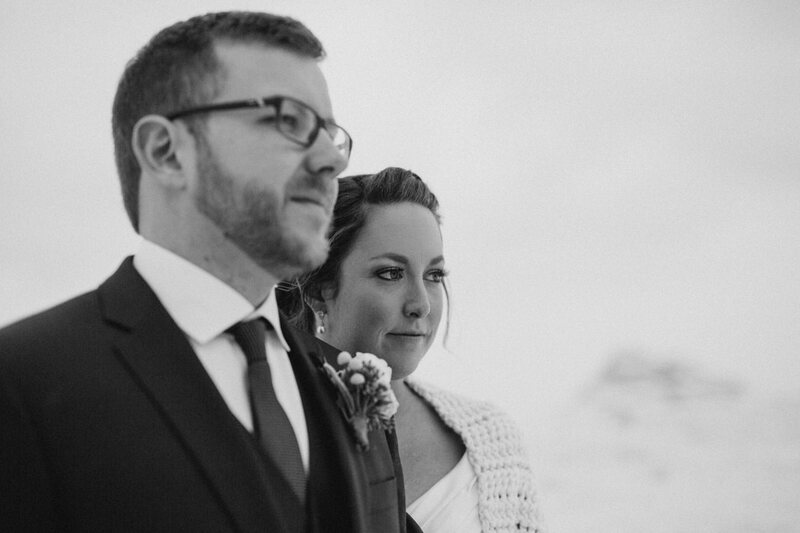 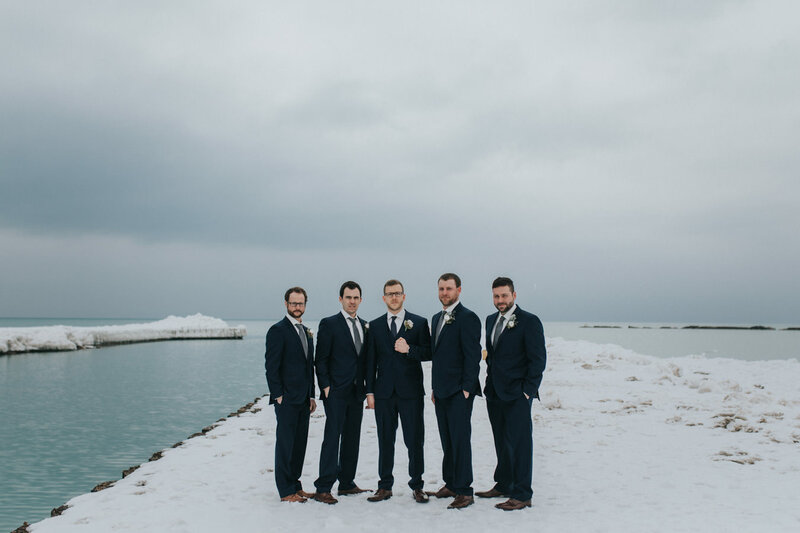 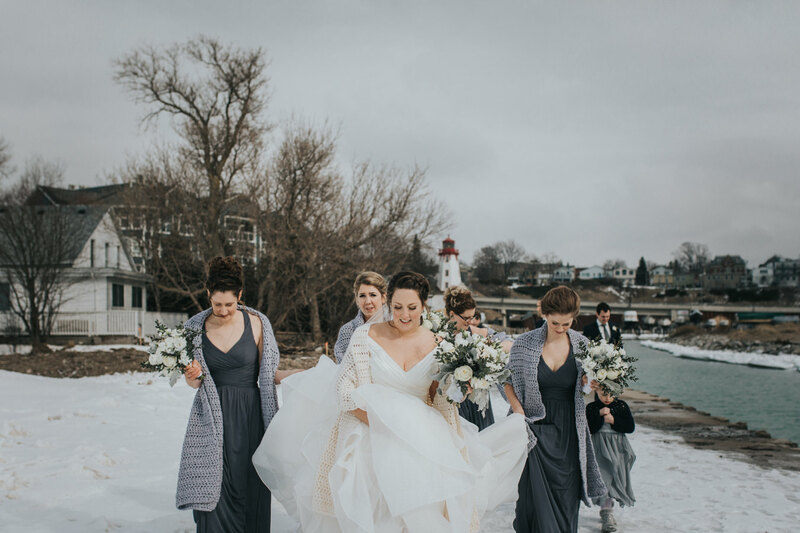 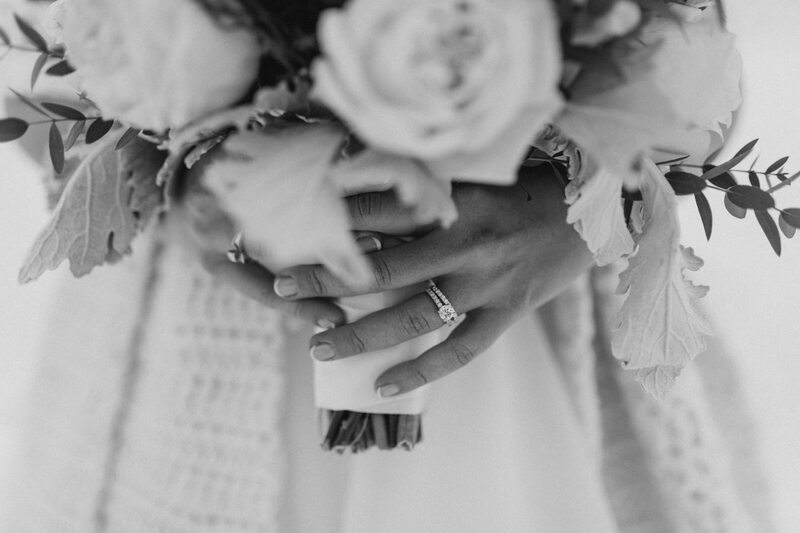 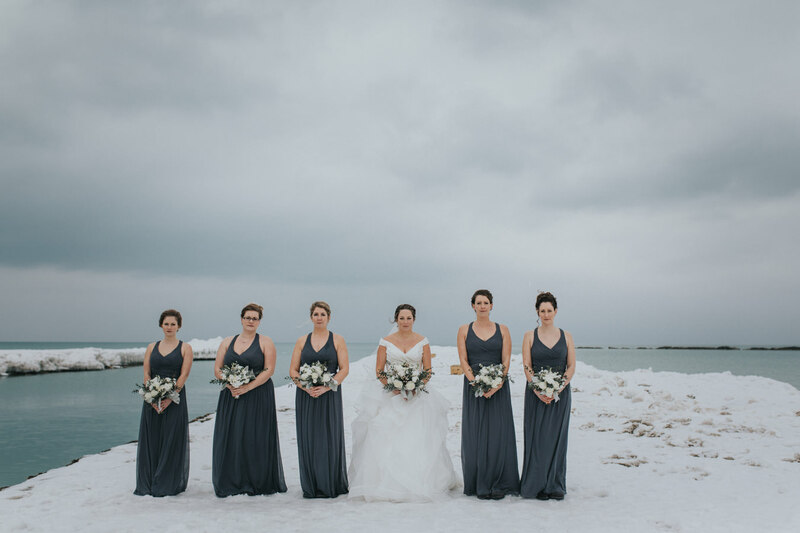 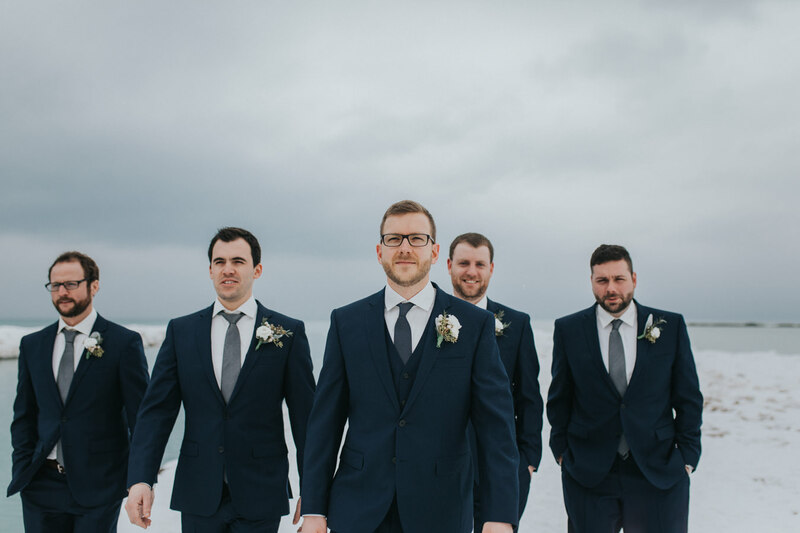 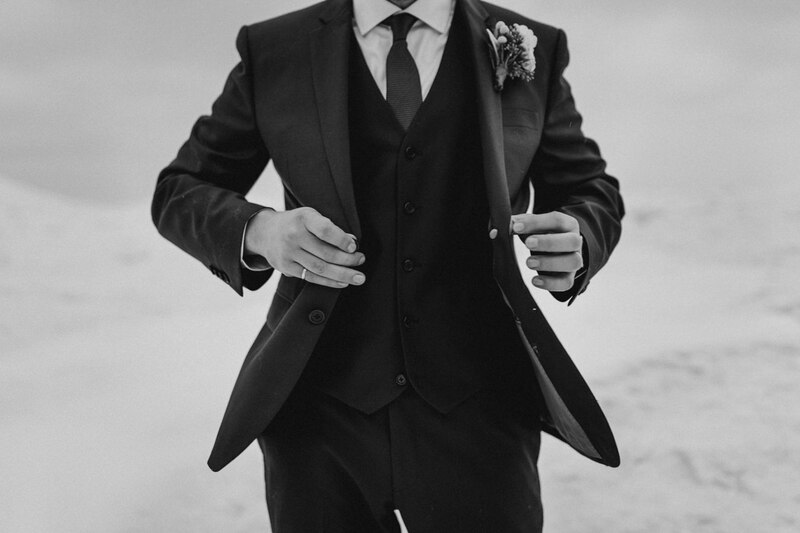 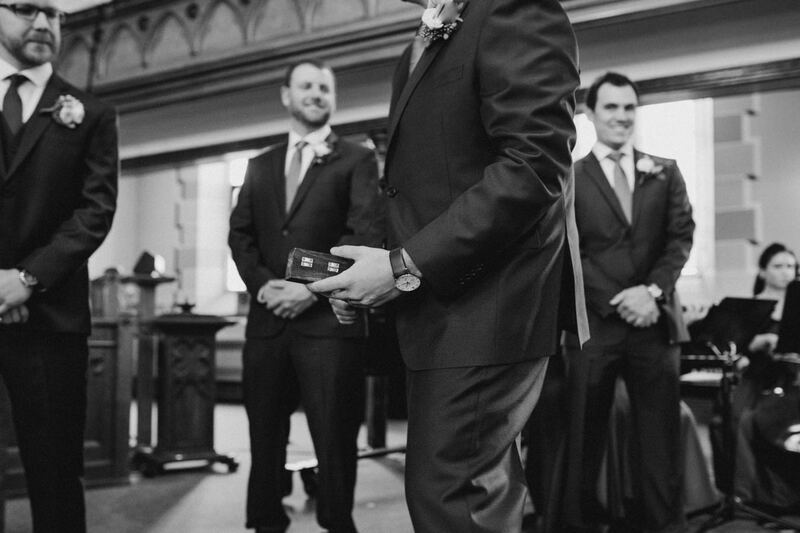 So it was only fitting that the two of them chose a winter wedding on the icy shores of Lake Huron. 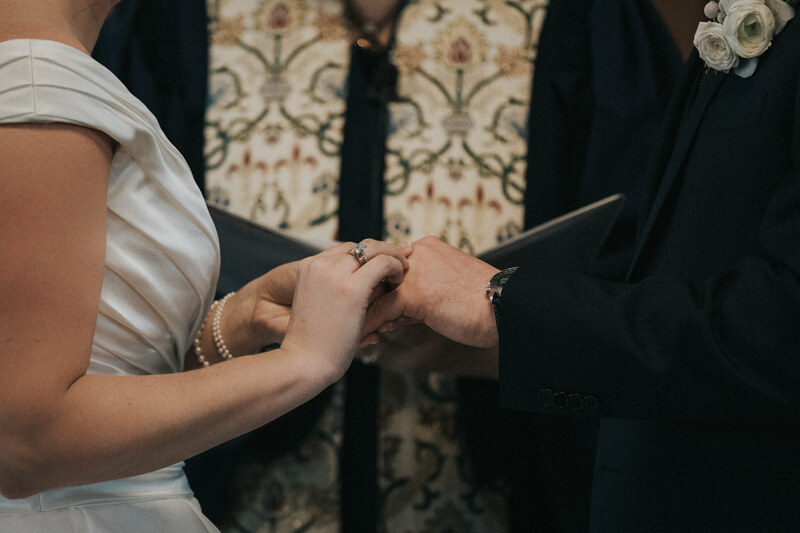 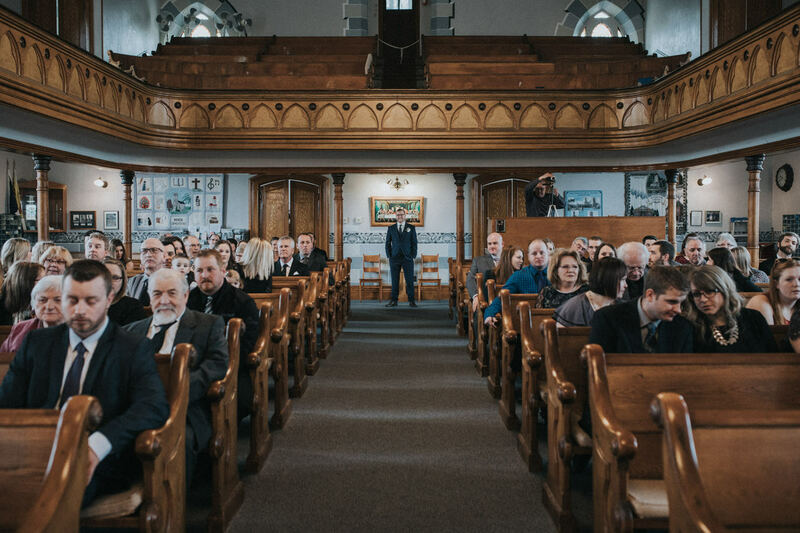 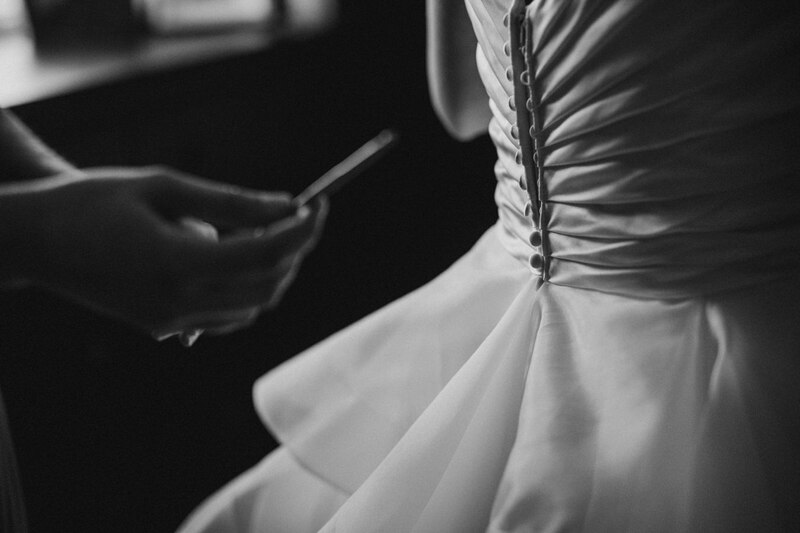 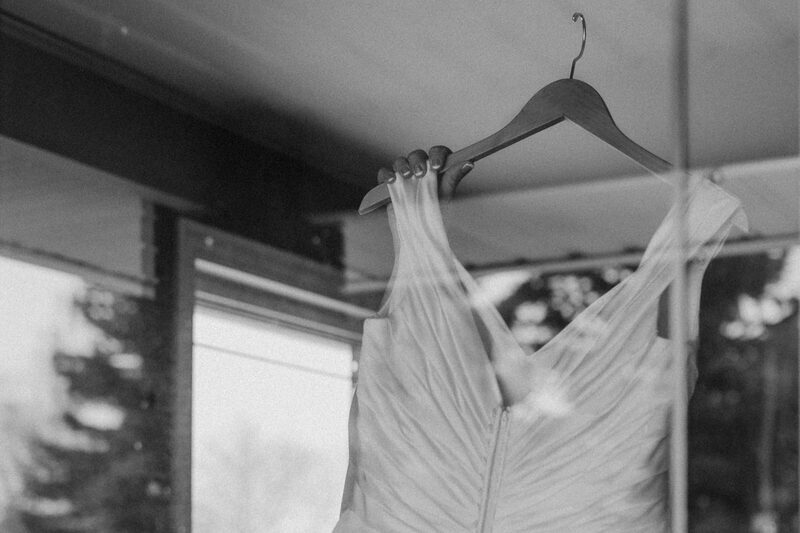 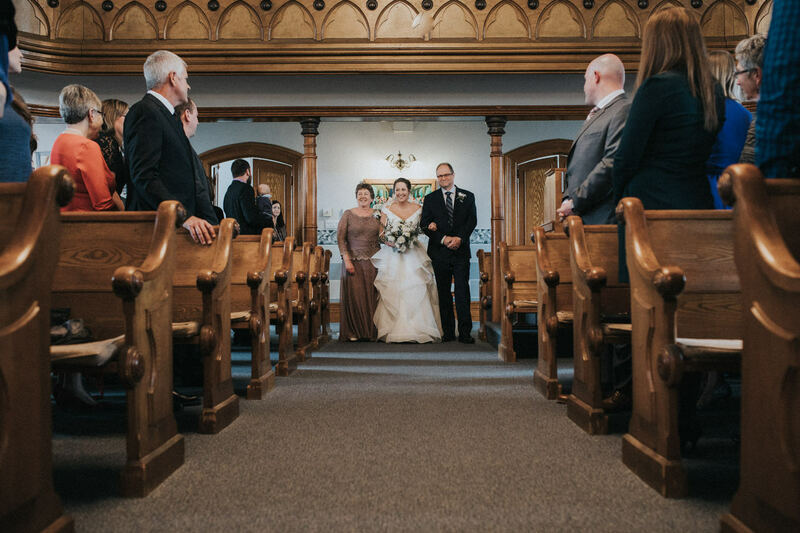 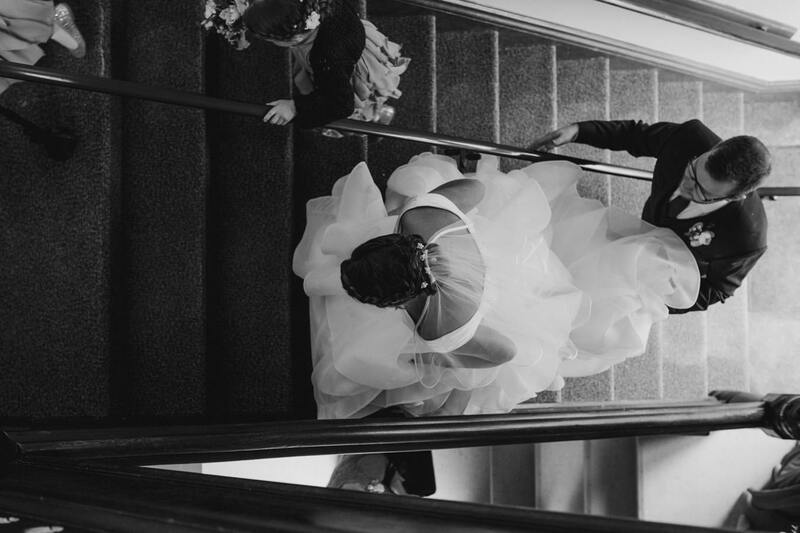 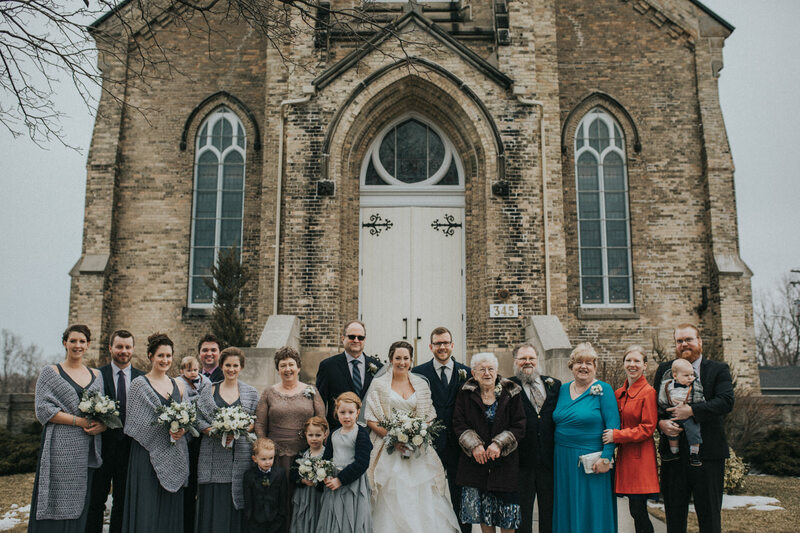 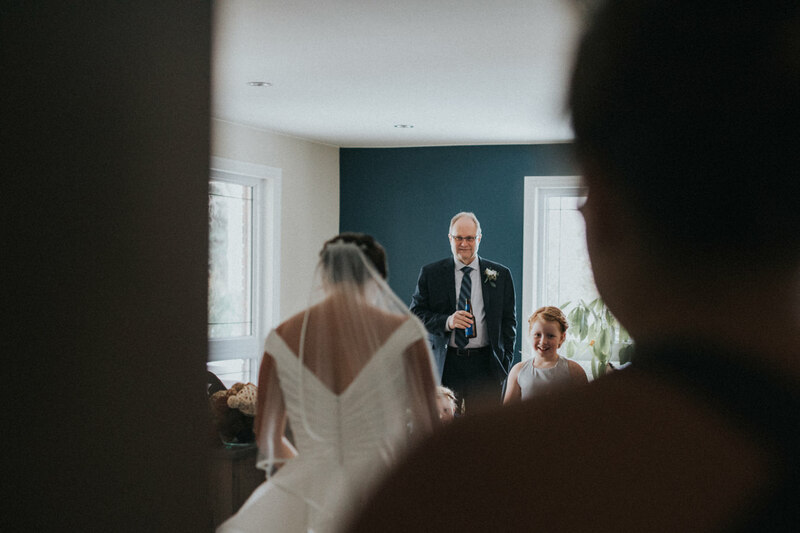 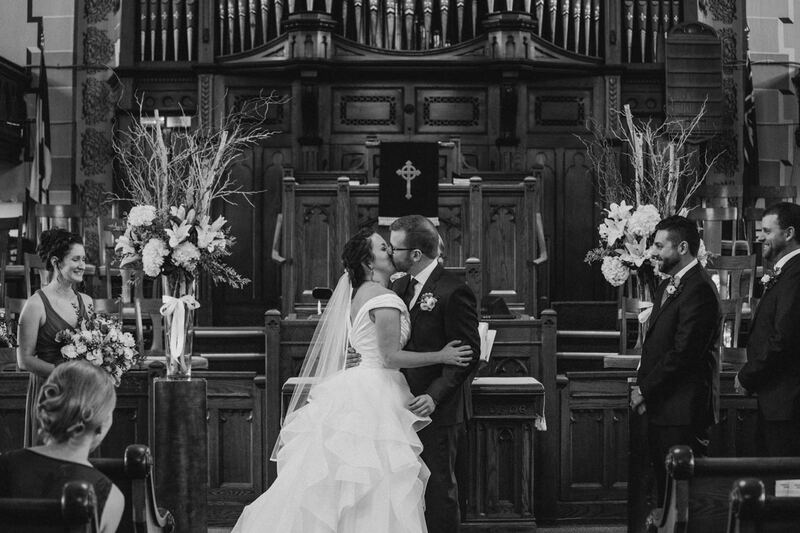 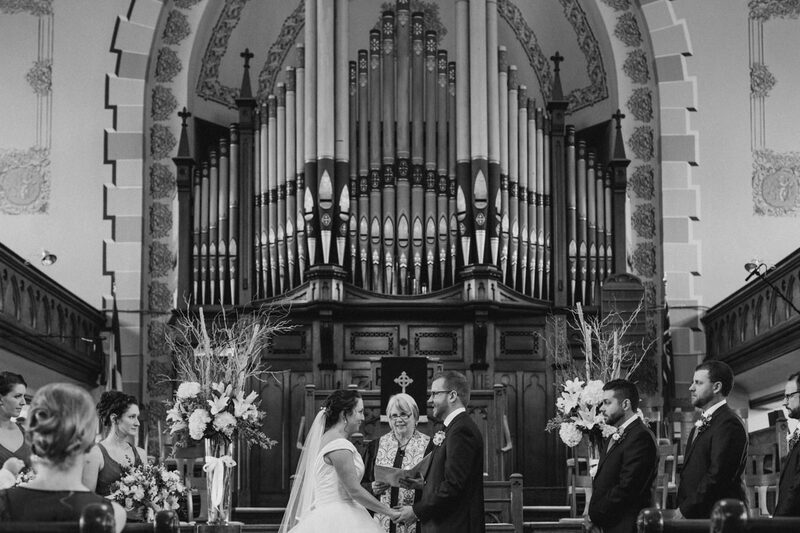 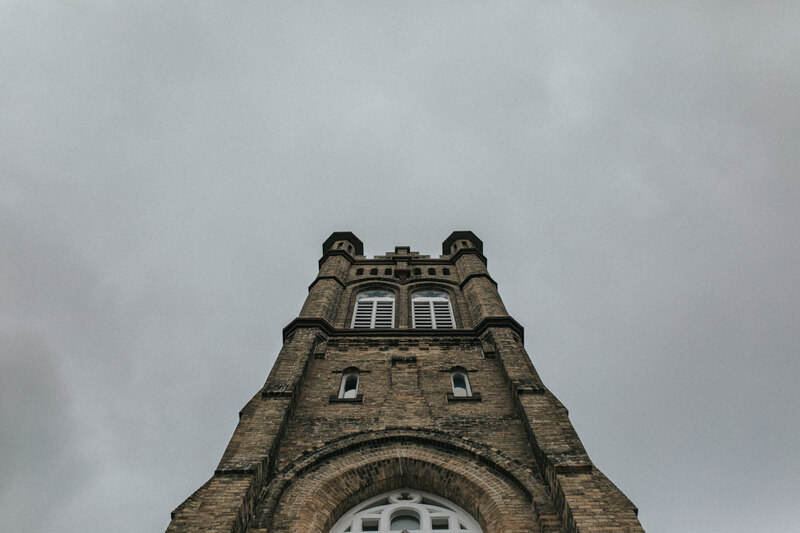 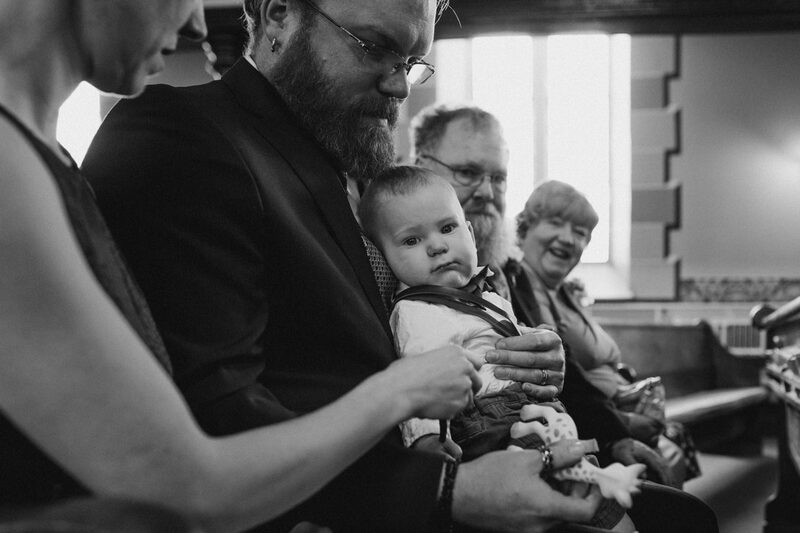 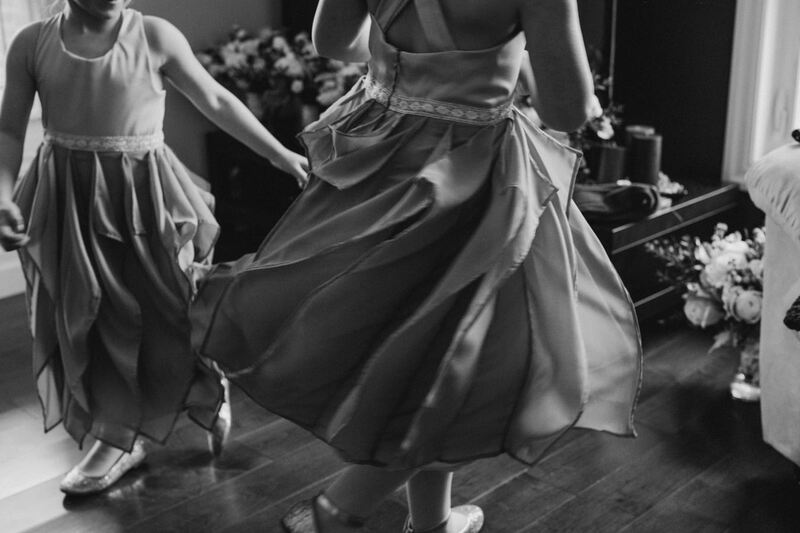 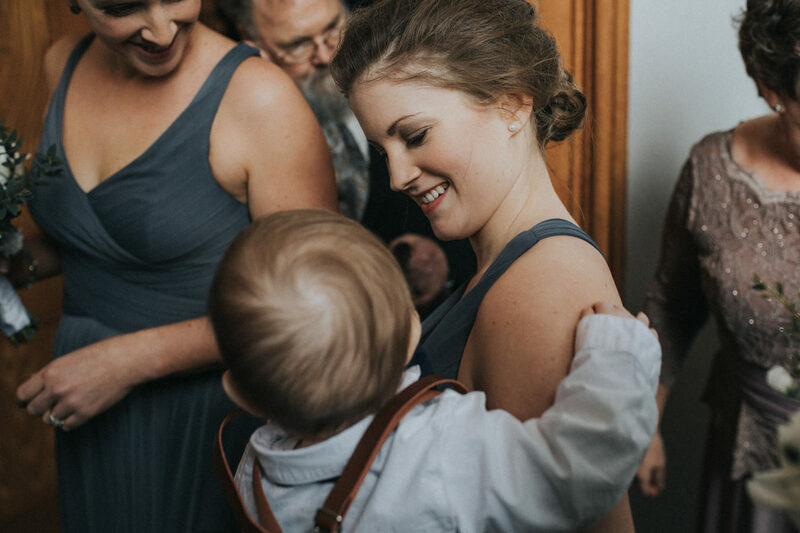 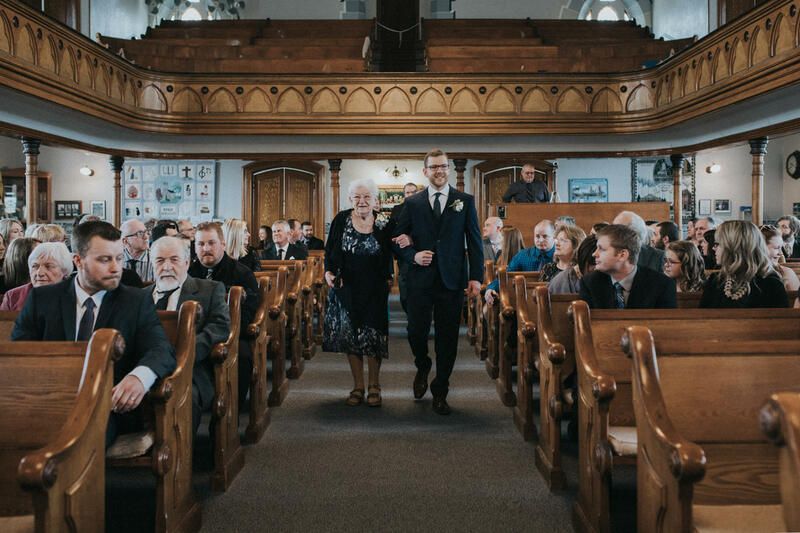 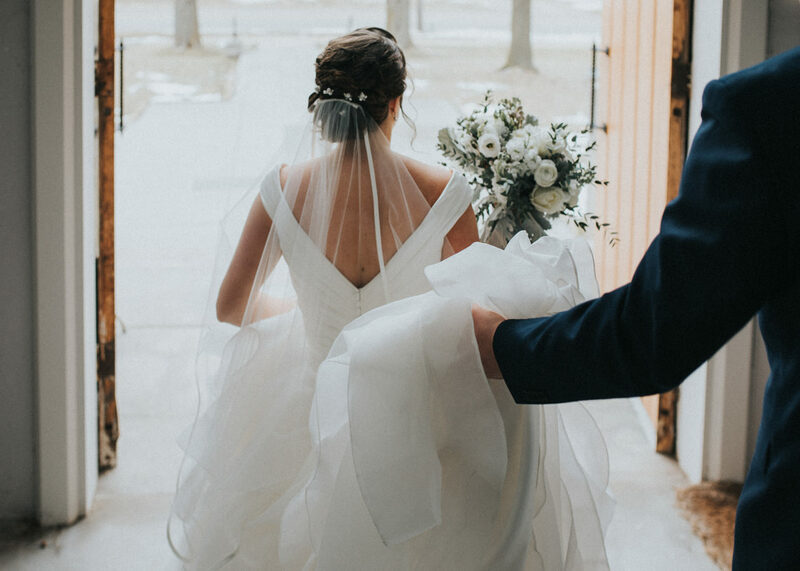 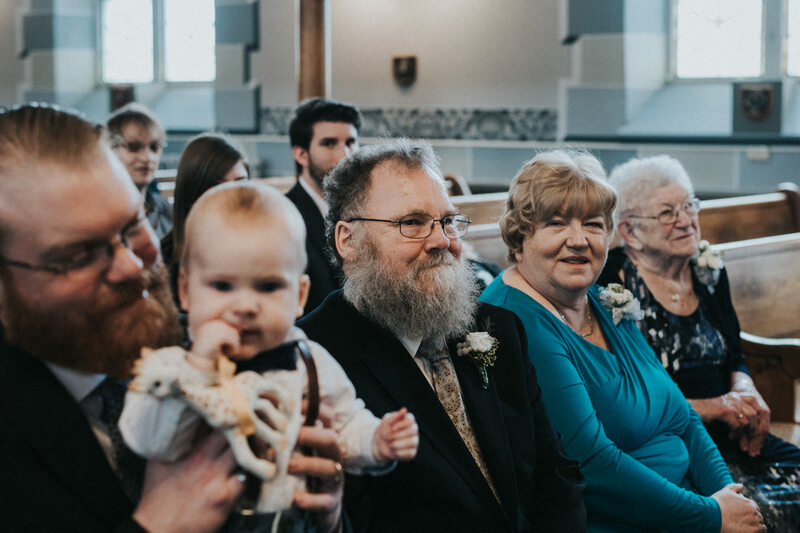 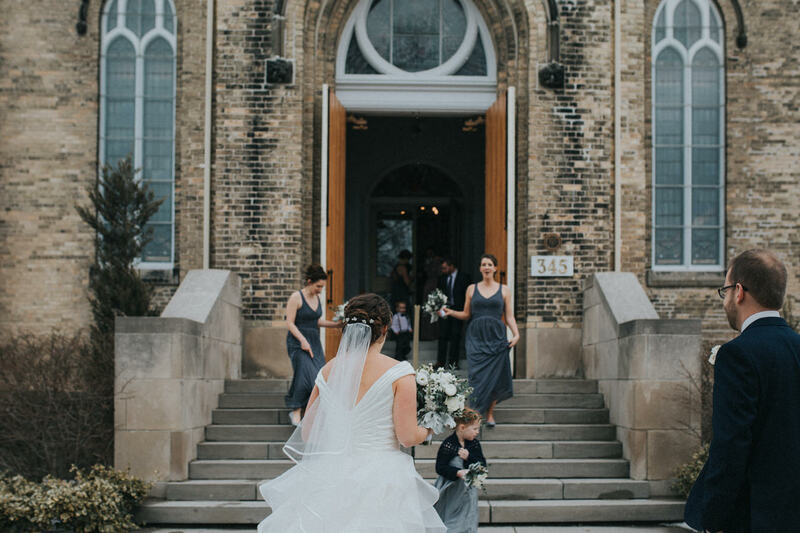 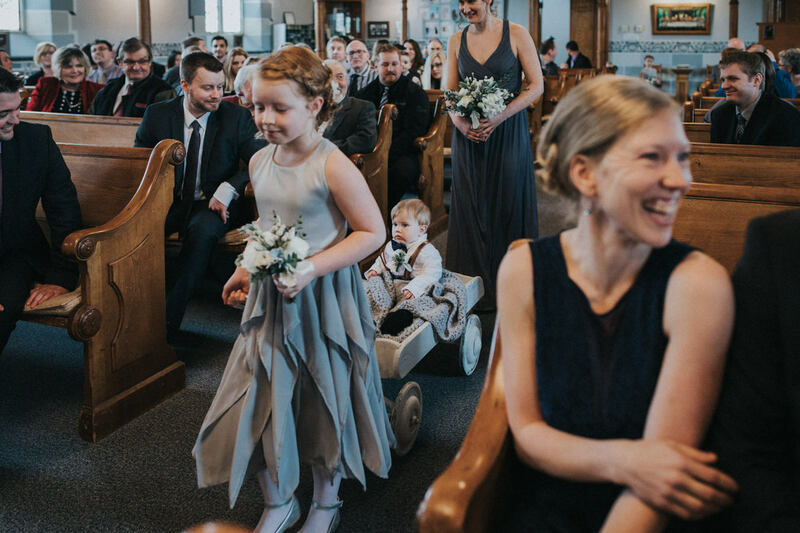 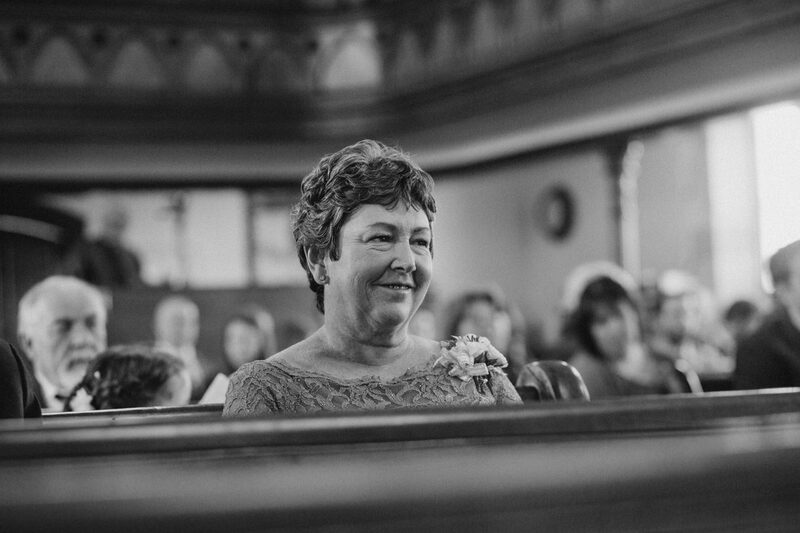 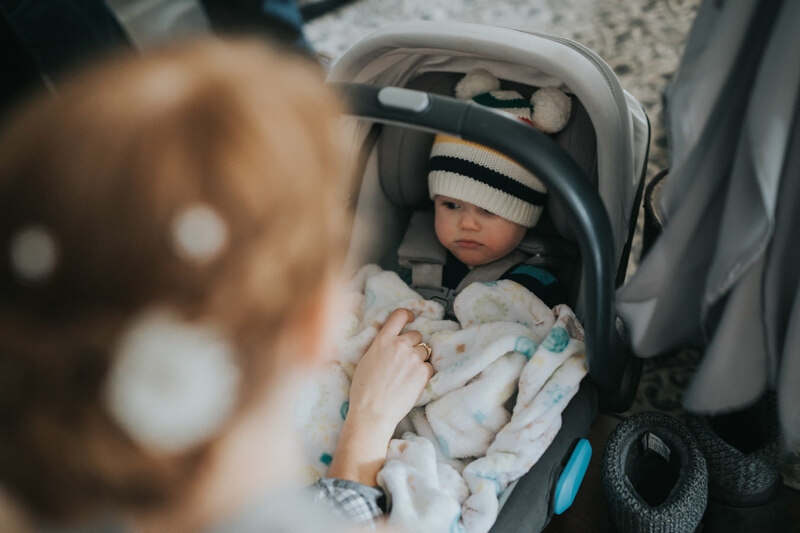 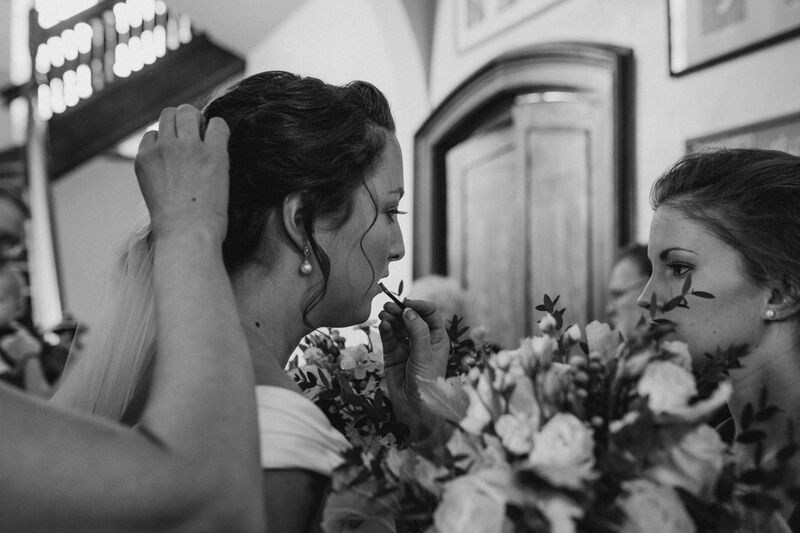 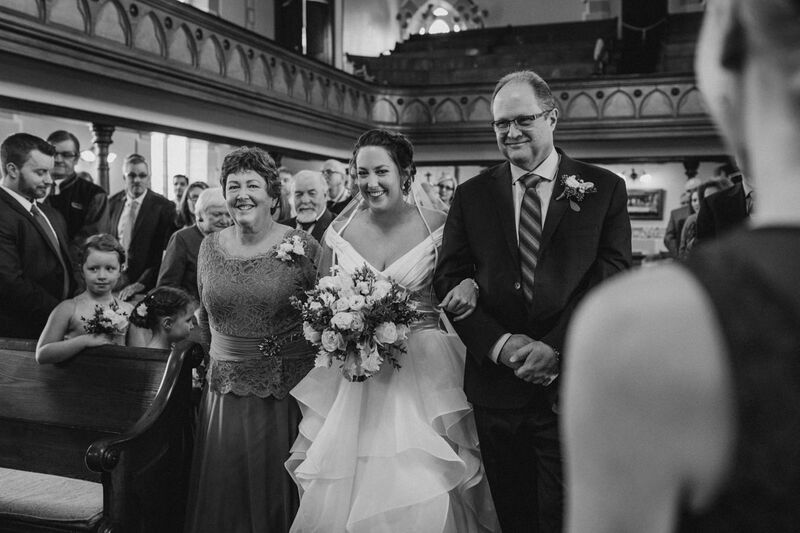 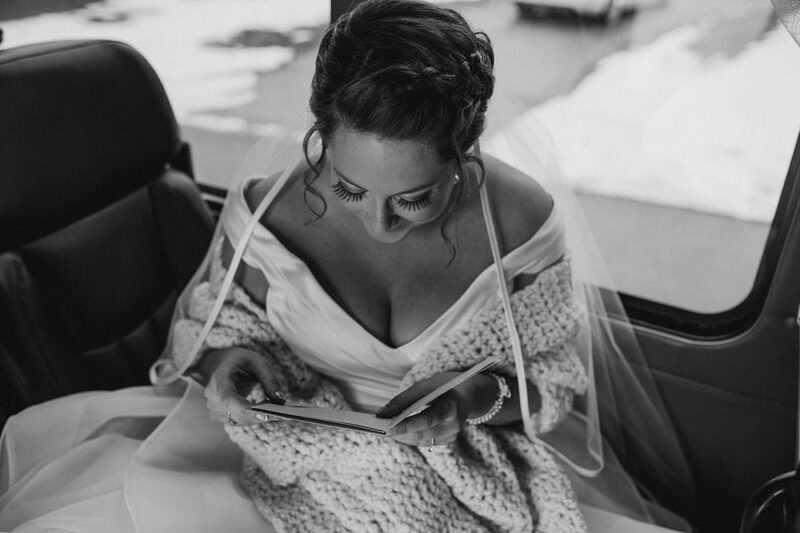 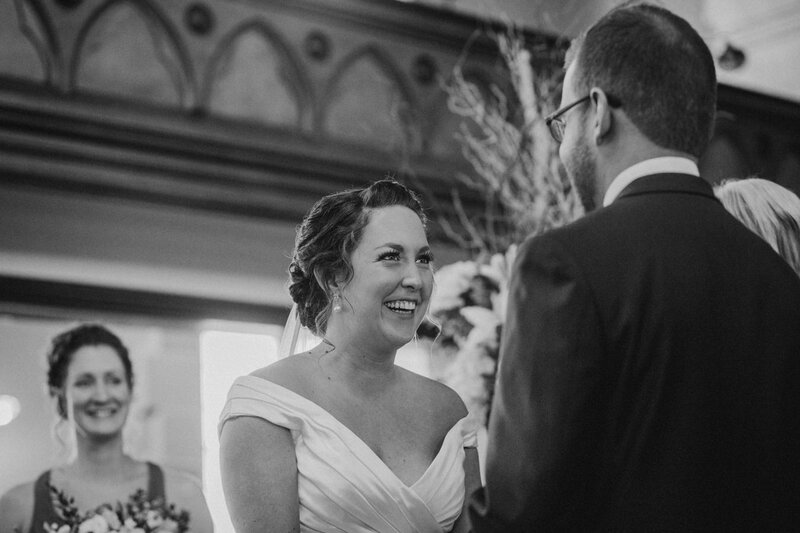 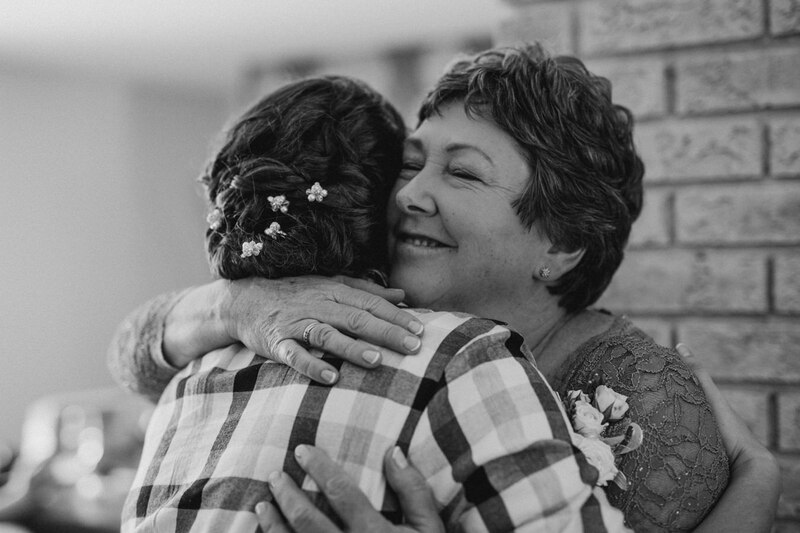 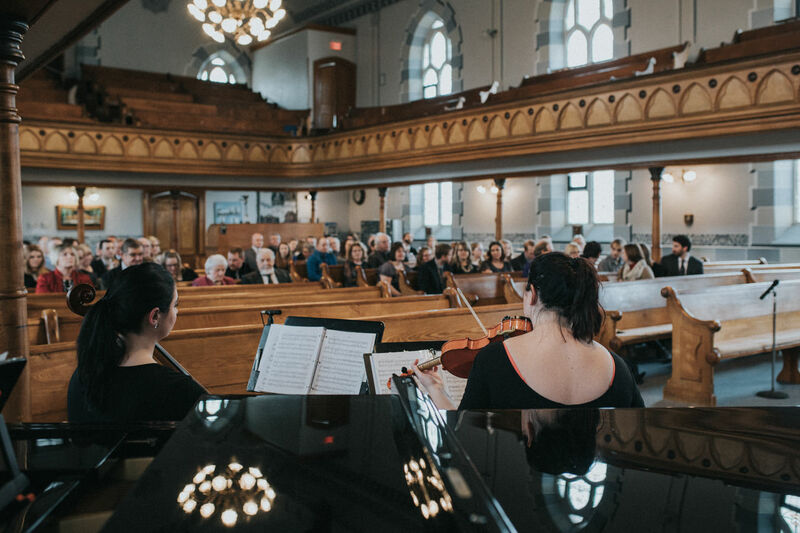 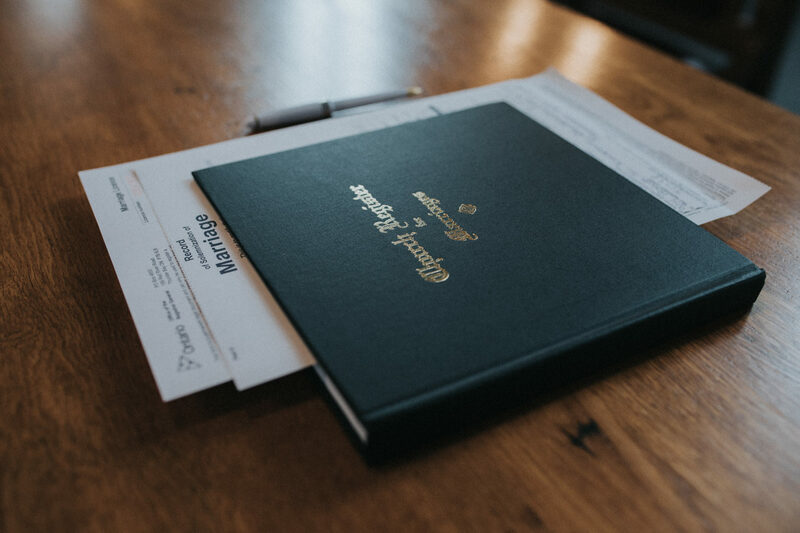 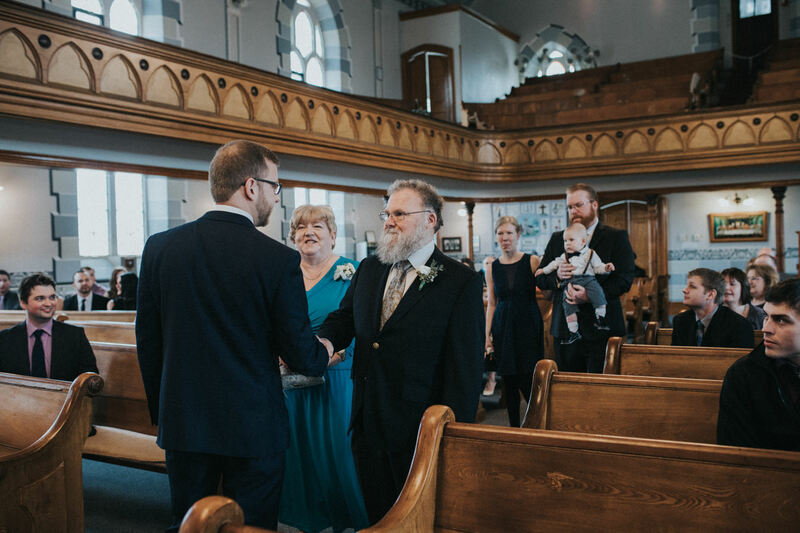 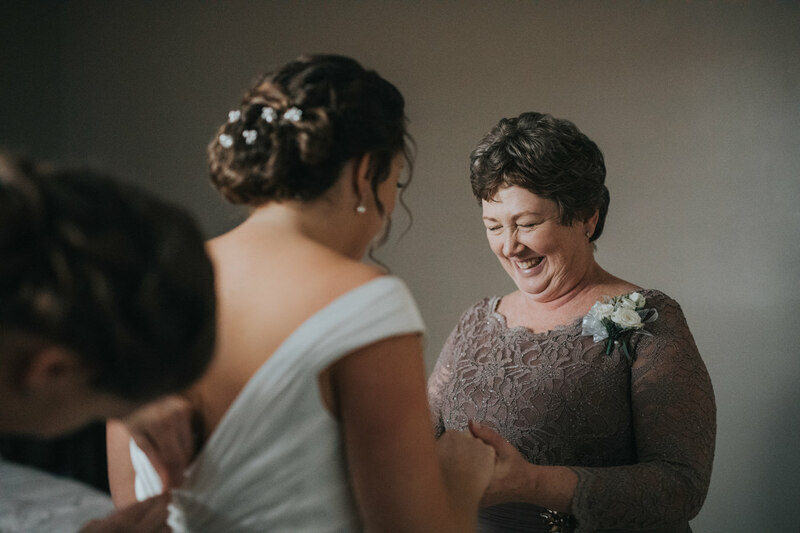 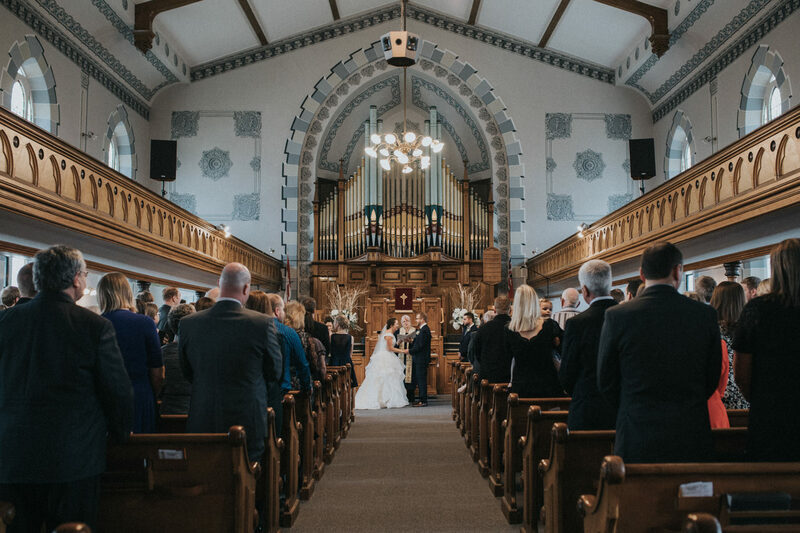 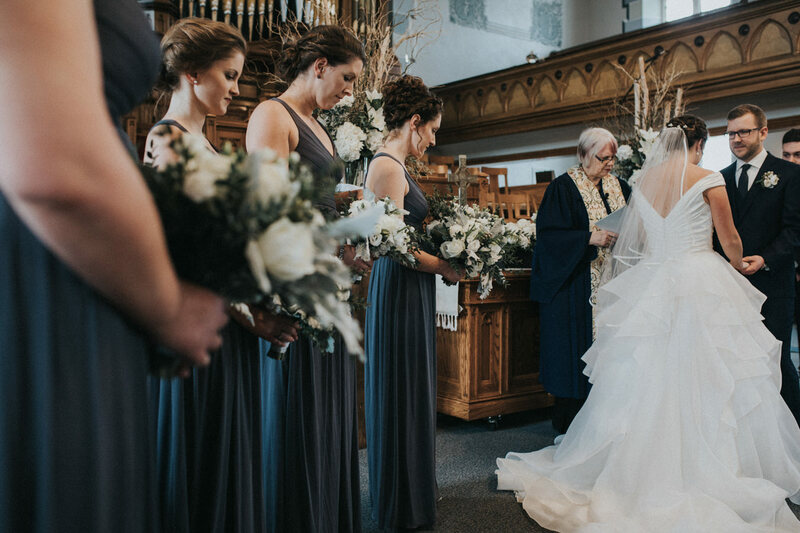 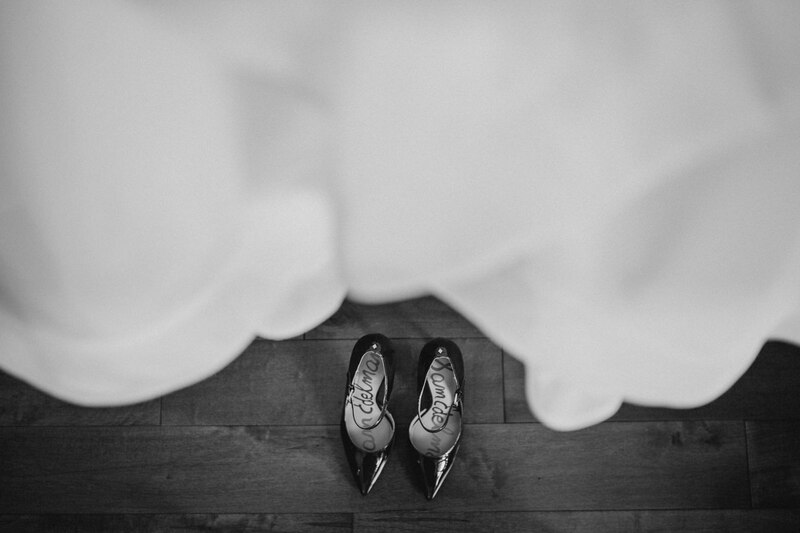 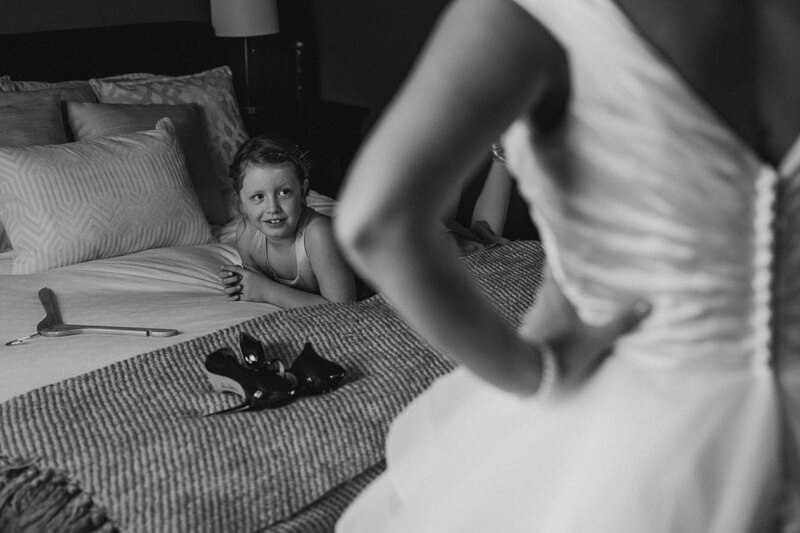 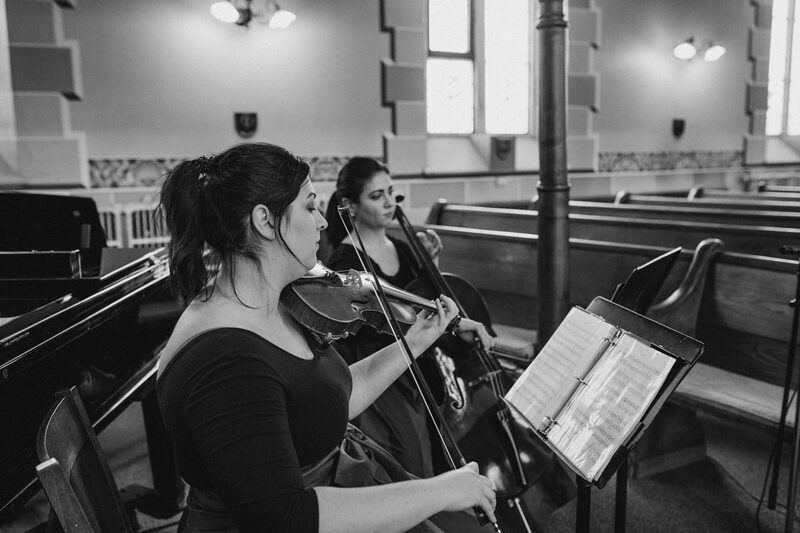 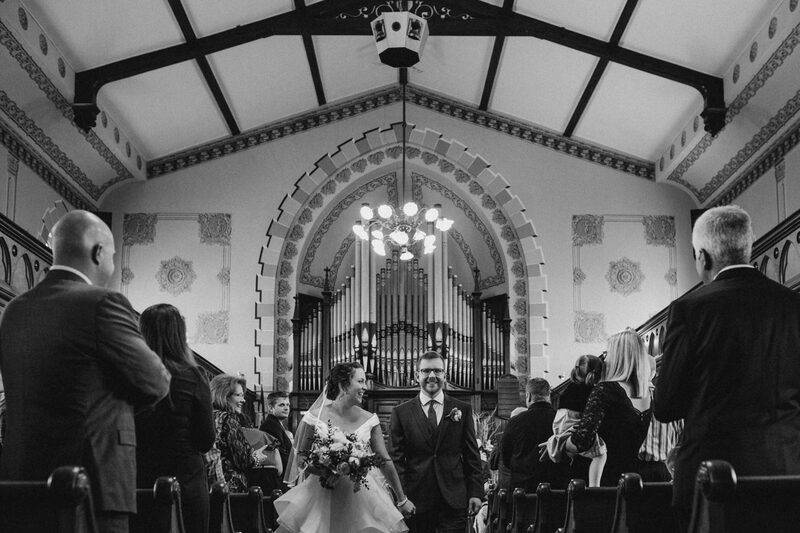 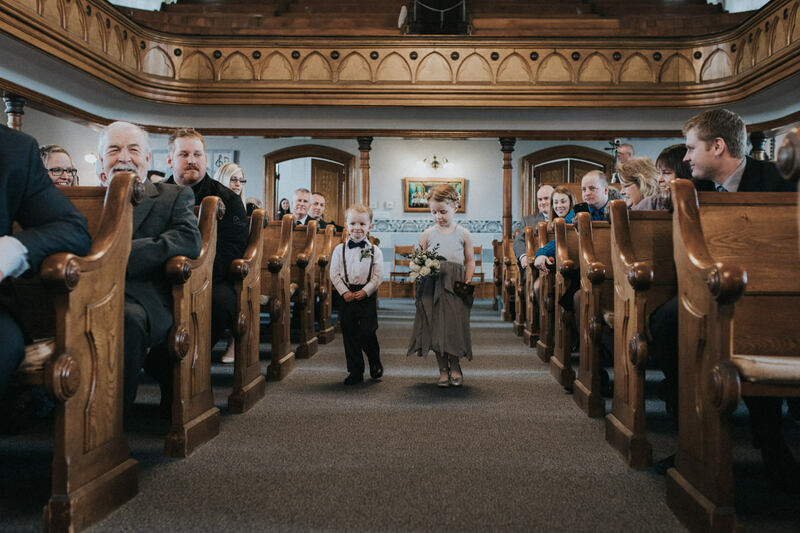 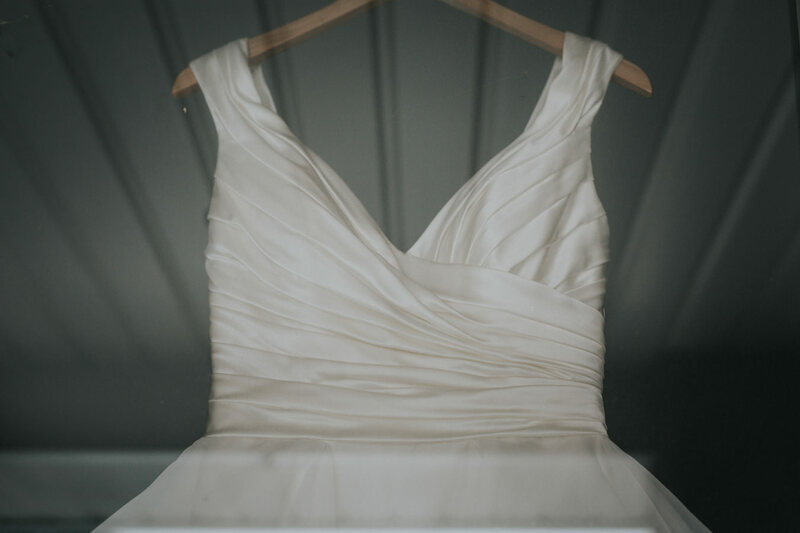 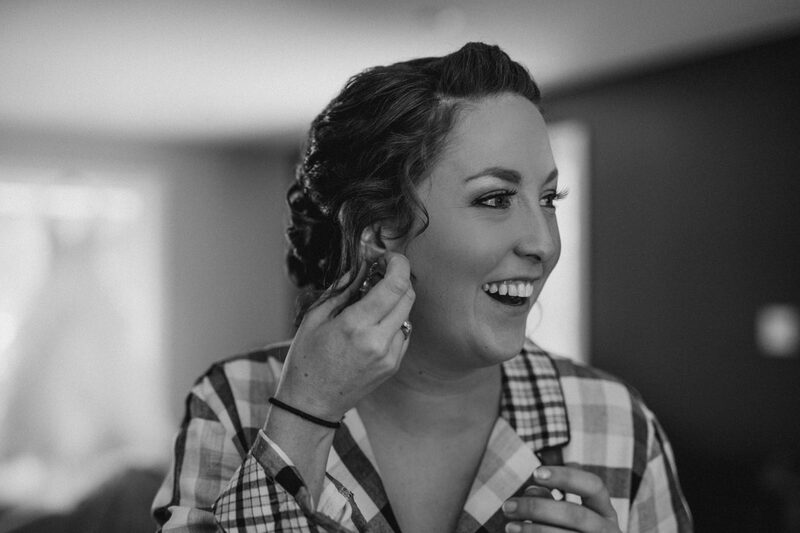 Soren saw Andrea in her dress for the first time as her parents walked her down the aisle at the beautiful Knox Presbyterian Church in Kincardine, Ontario. 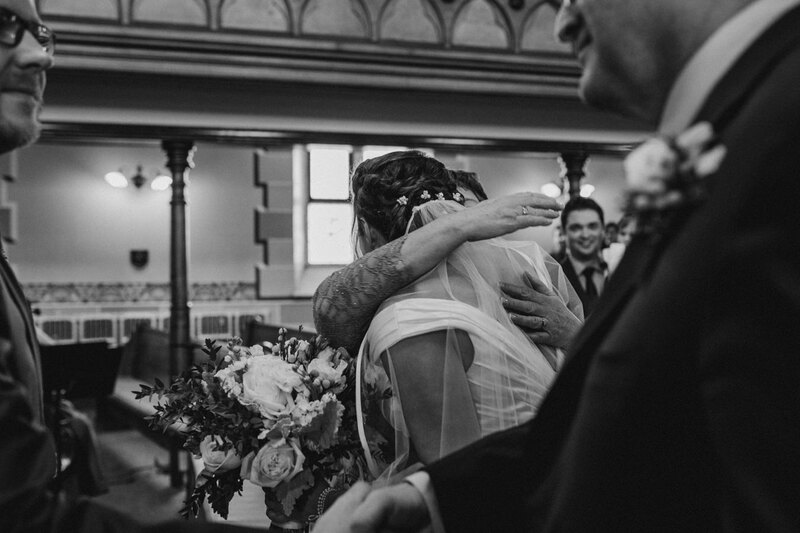 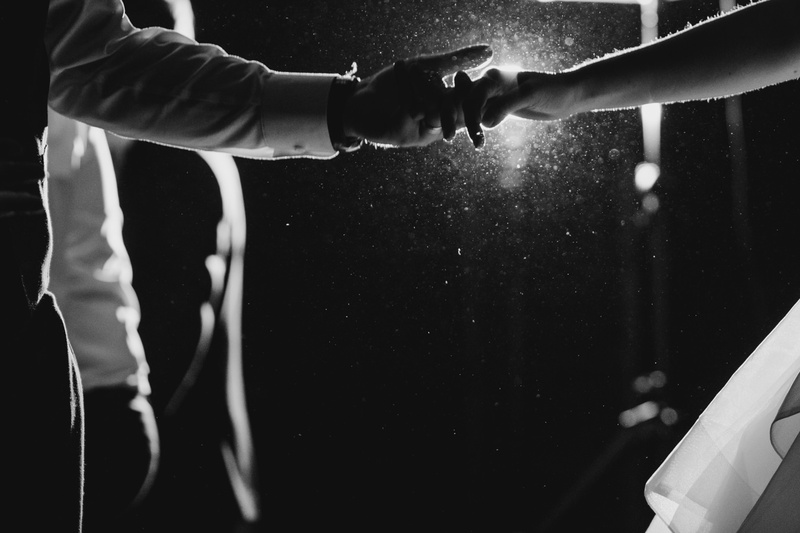 They made their promises to eachother in front of close family and friends, many of whom had travelled long distances to be with them. 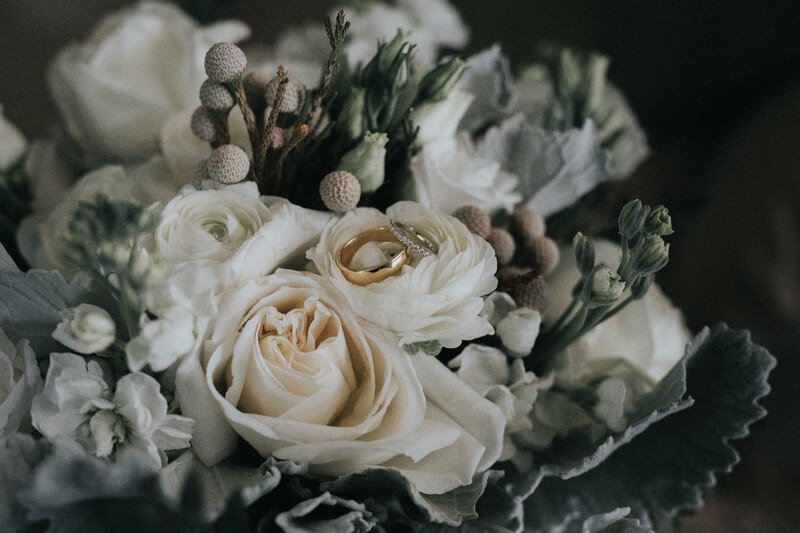 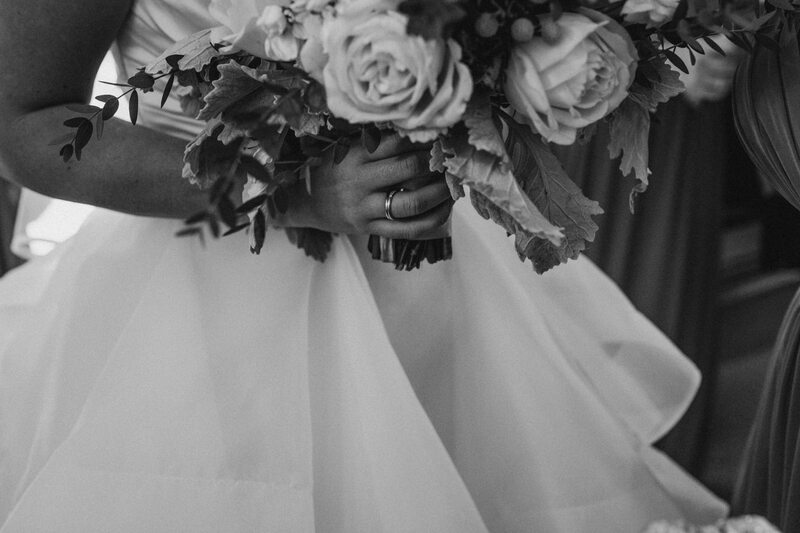 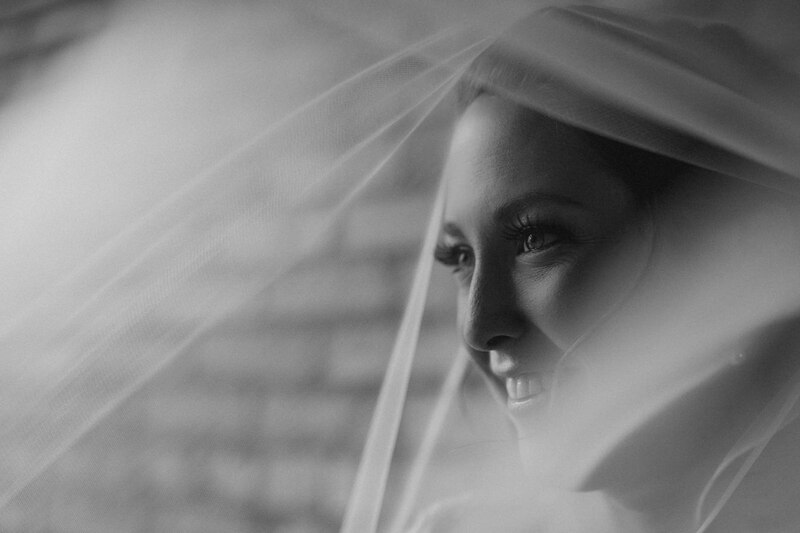 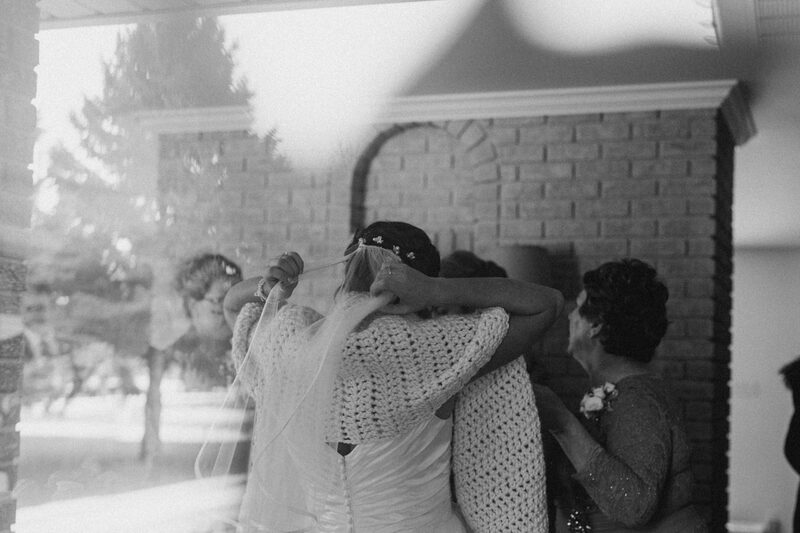 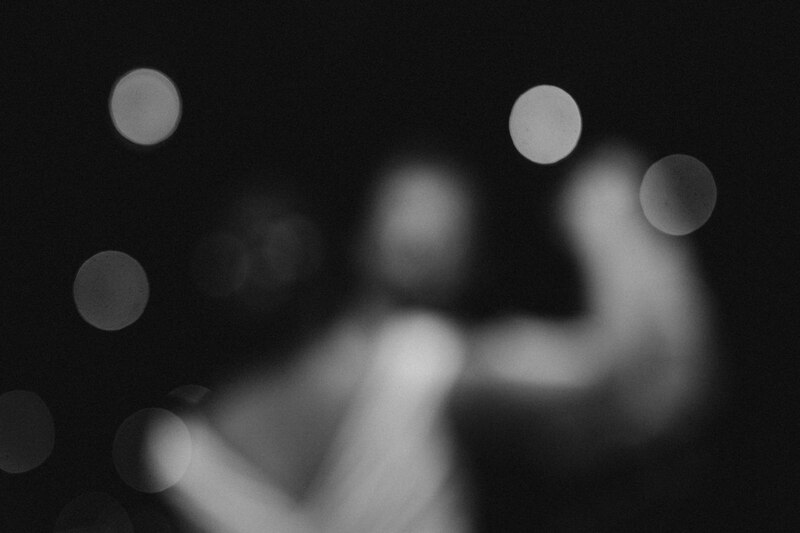 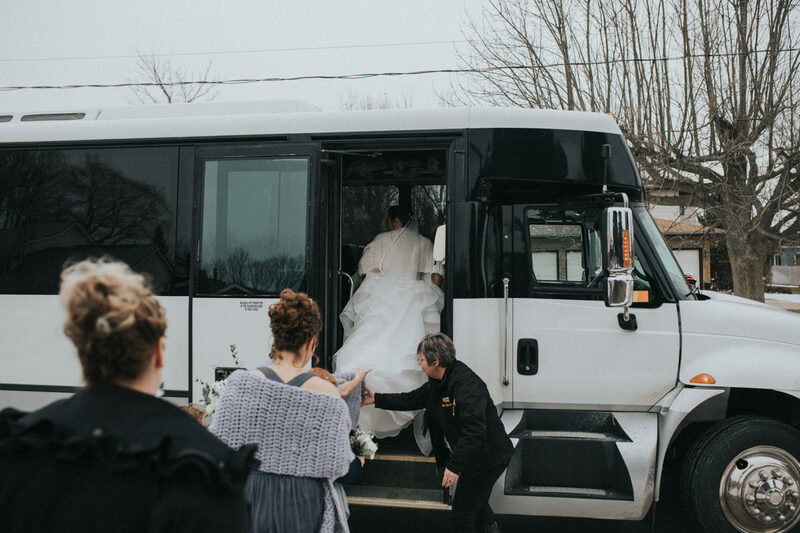 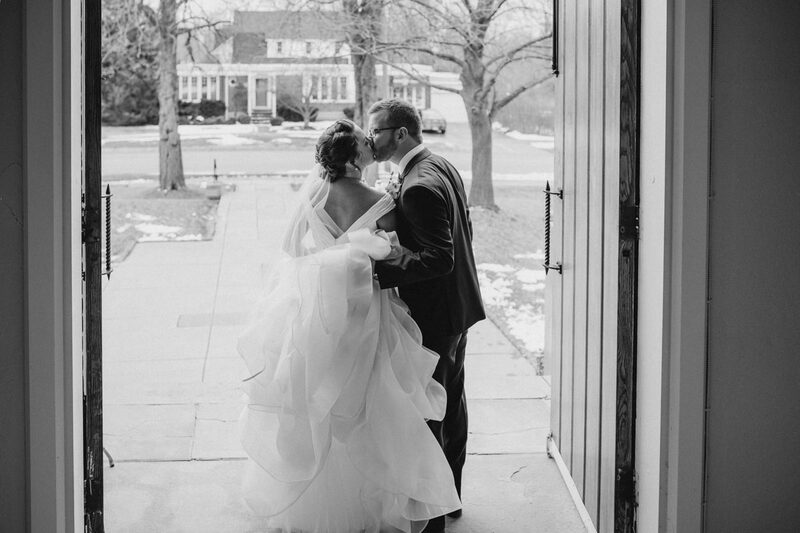 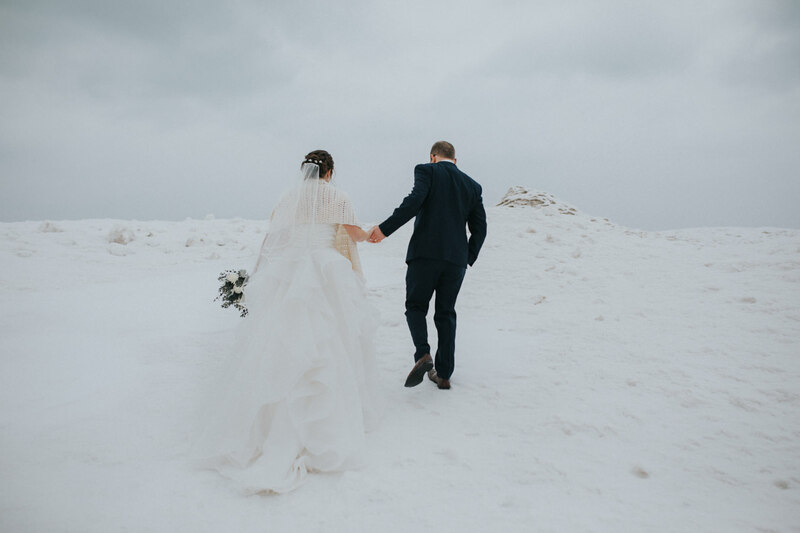 Andrea had long dreamed of a snowy winter wedding, and as they burst through the church doors as husband and wife, the snow was gently falling. 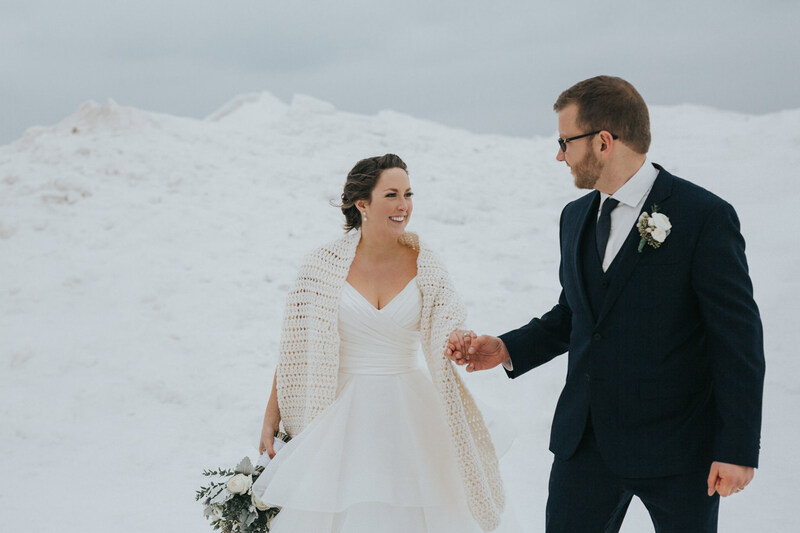 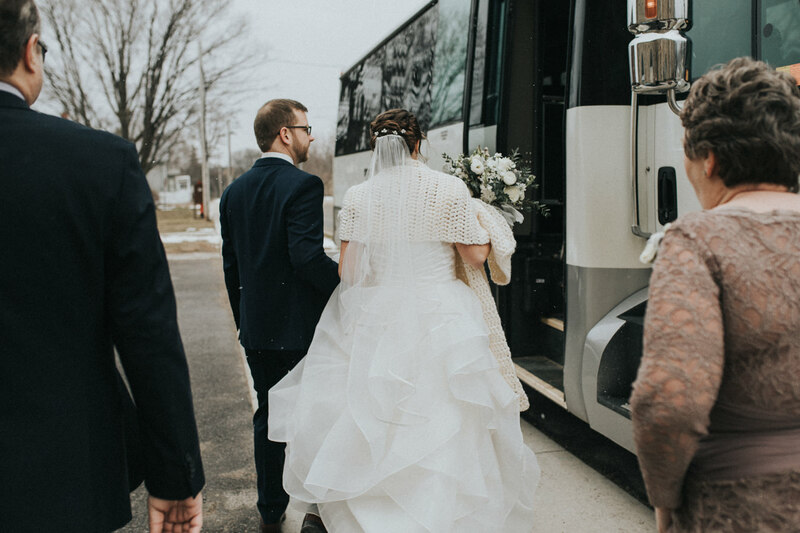 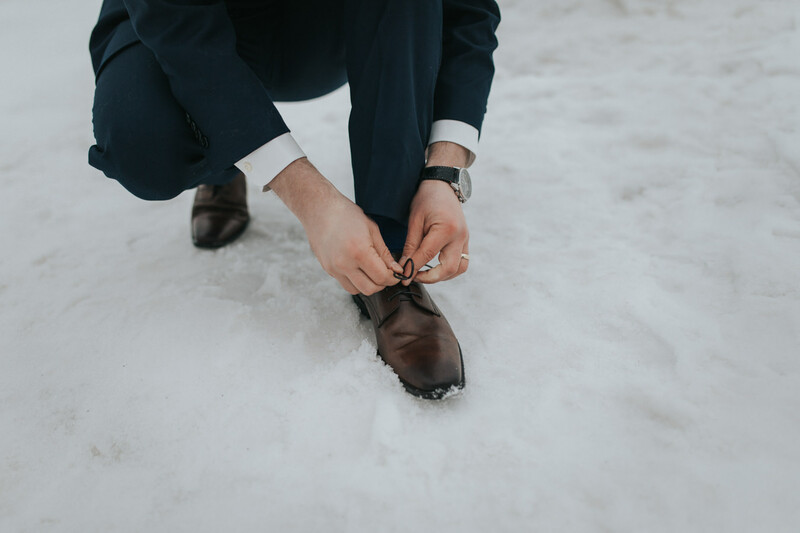 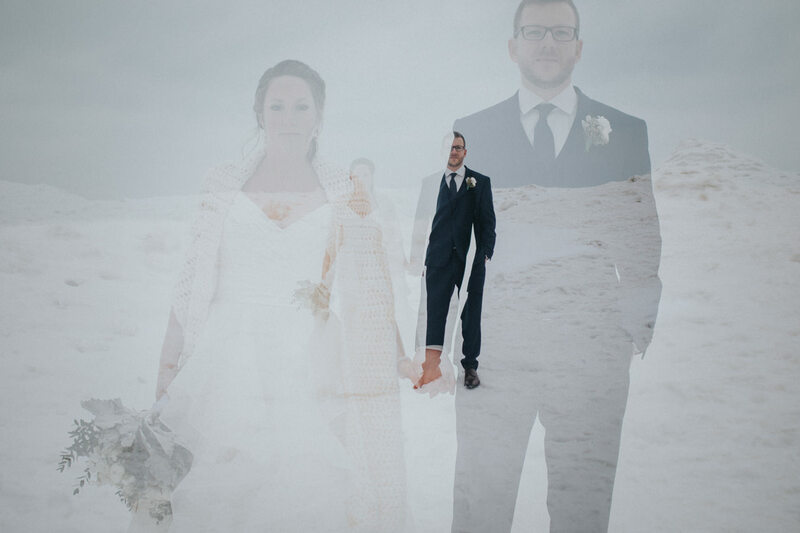 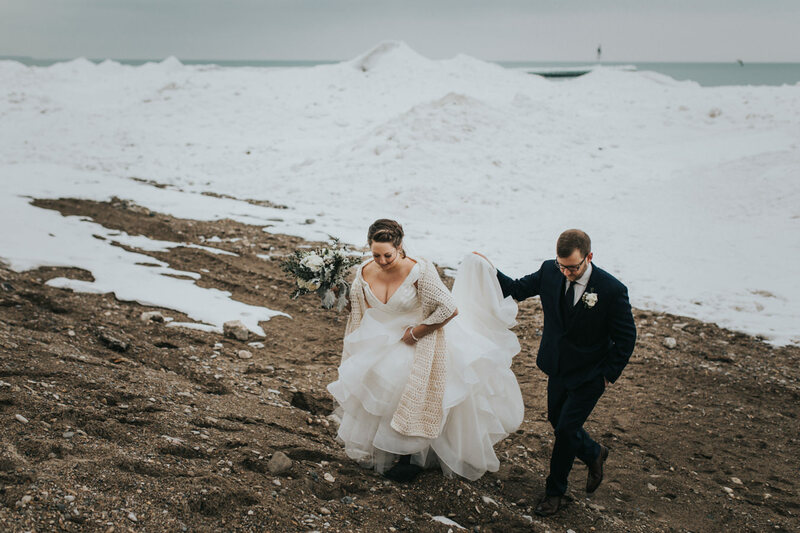 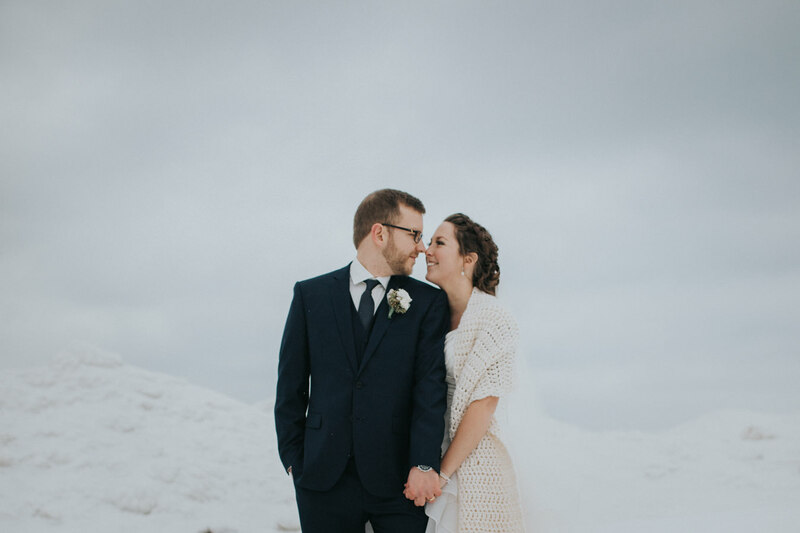 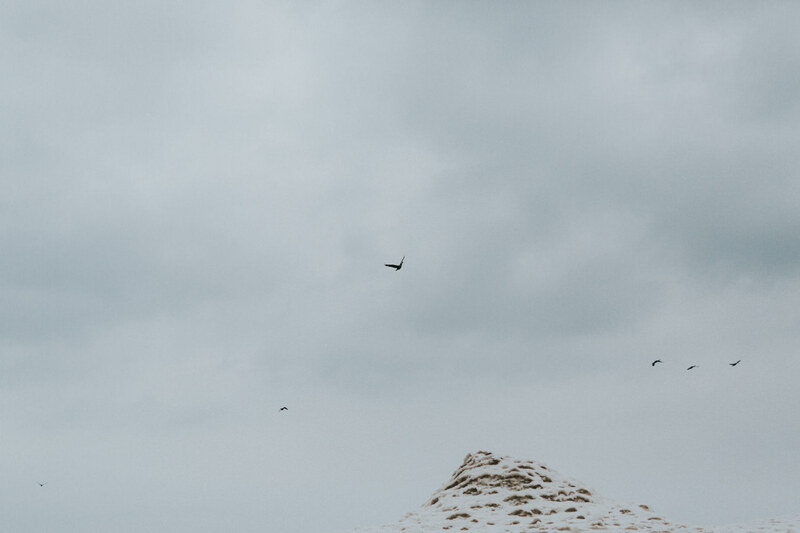 Much of the shore of Lake Huron was covered in giant mountains of snow and ice, which served as the perfect backdrop for Andrea & Soren's vision of their snowy wedding. 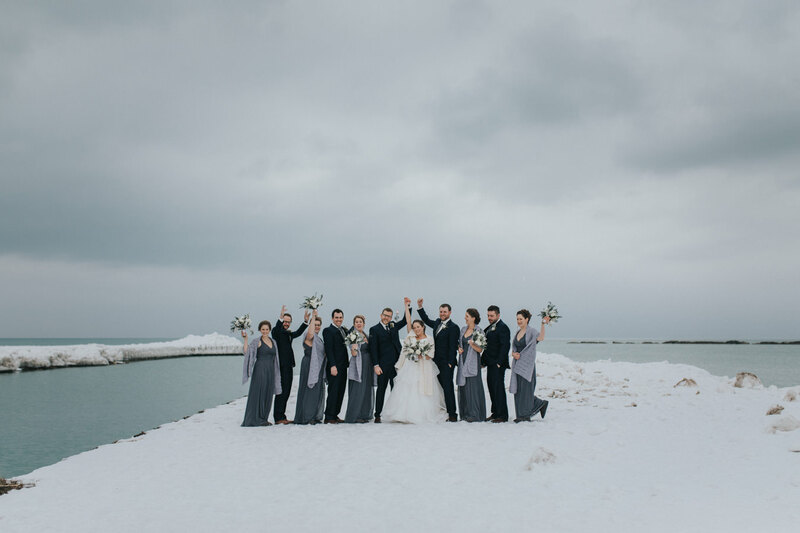 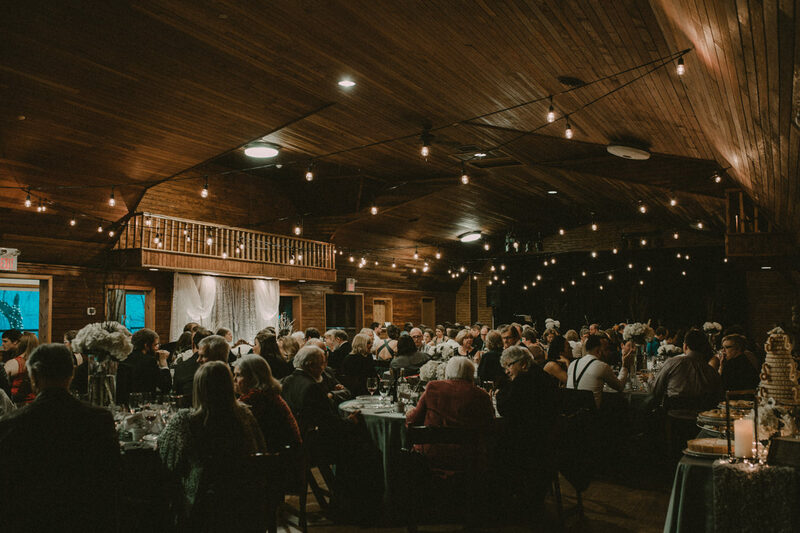 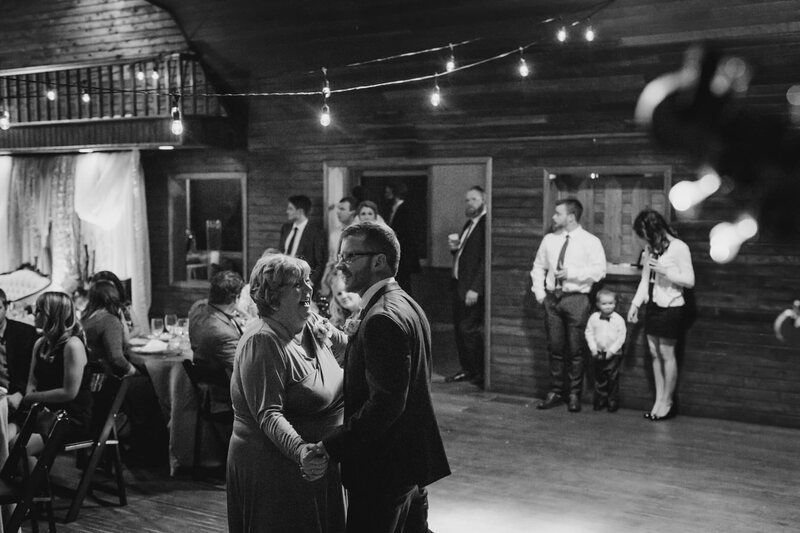 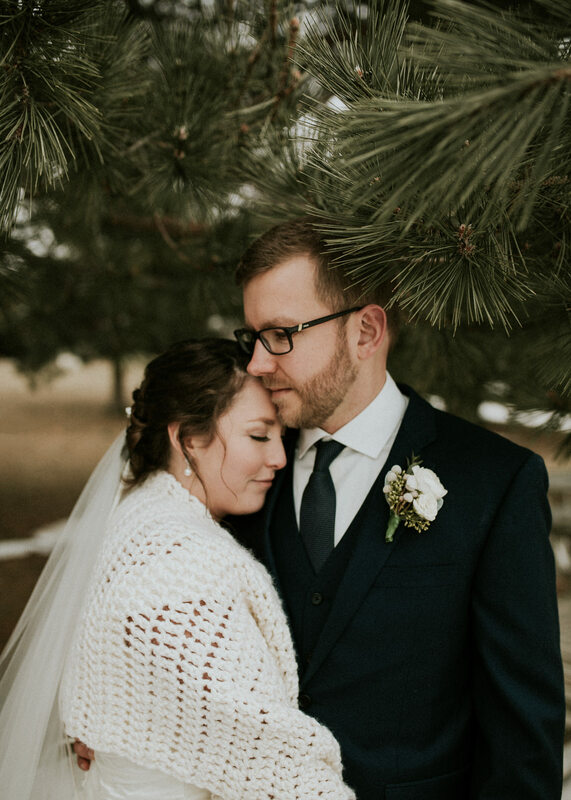 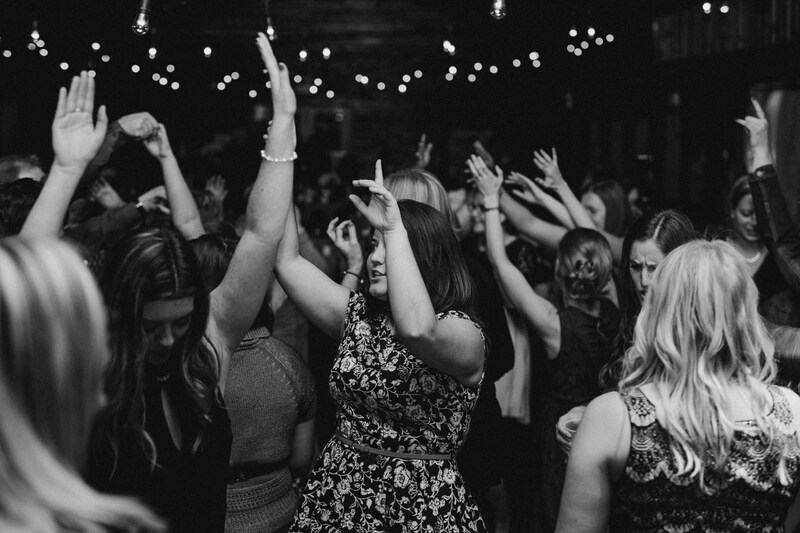 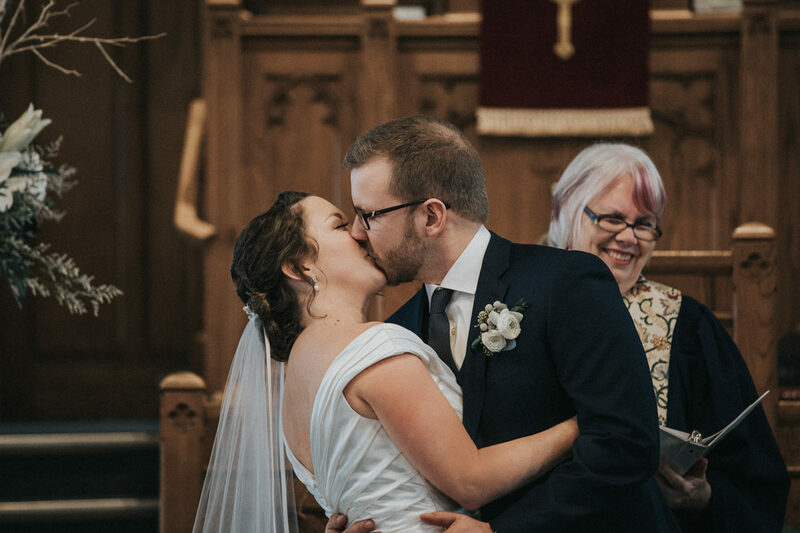 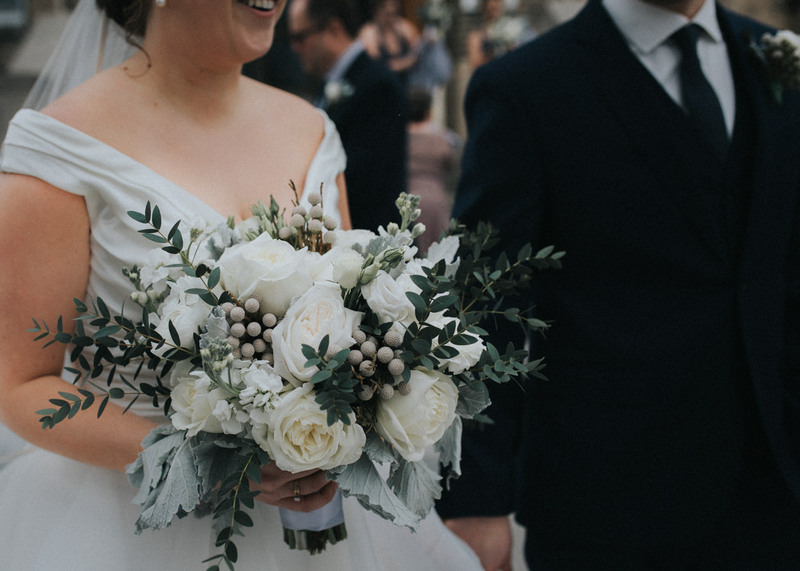 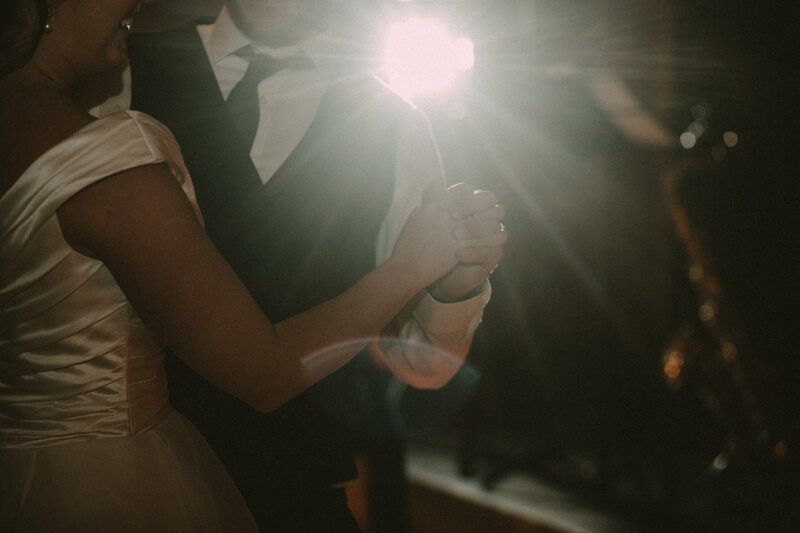 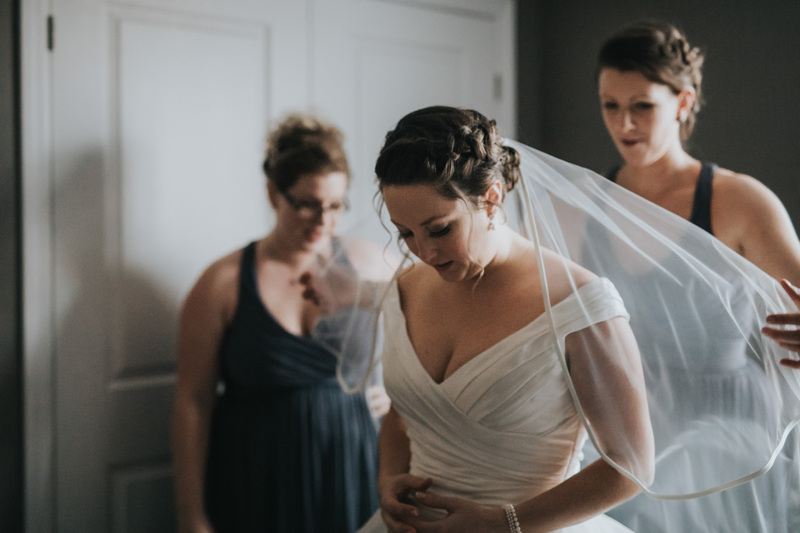 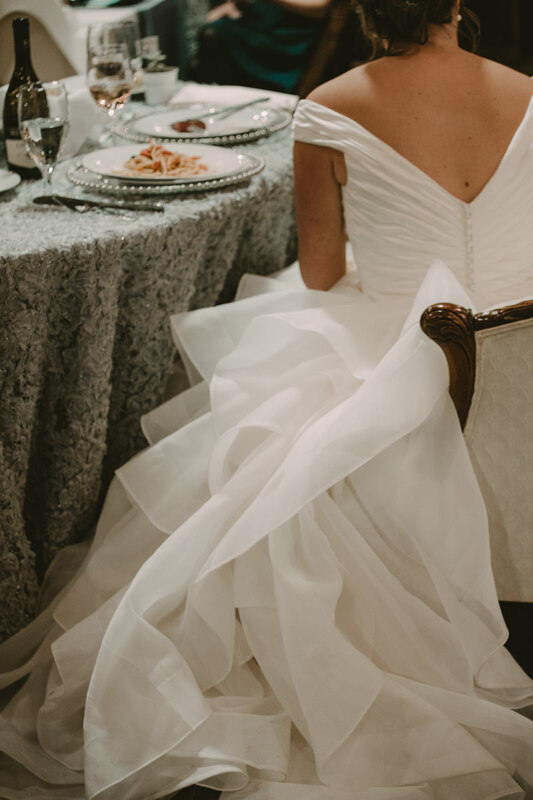 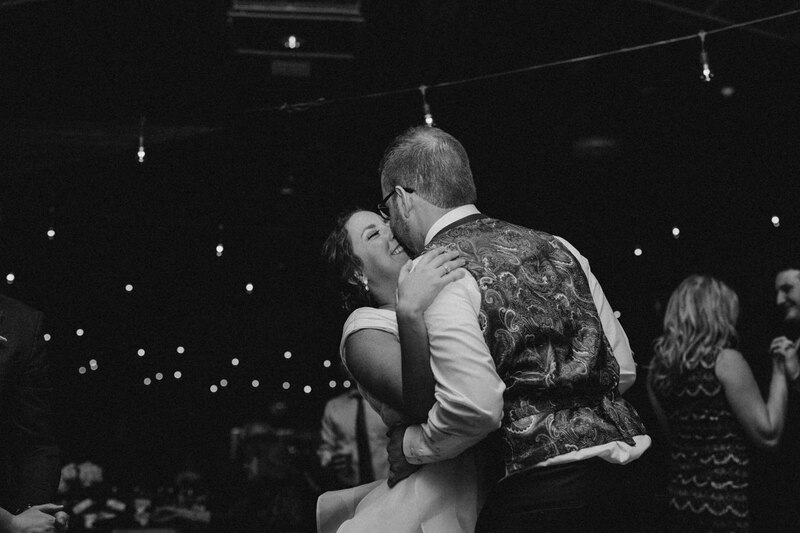 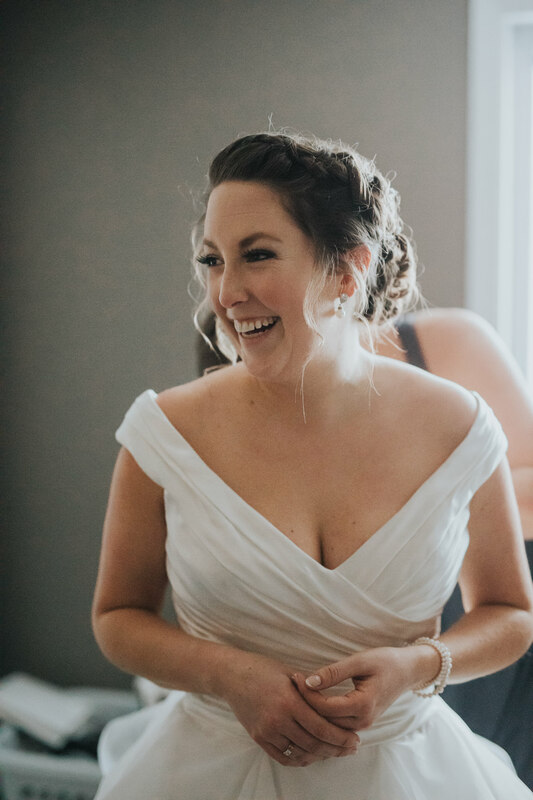 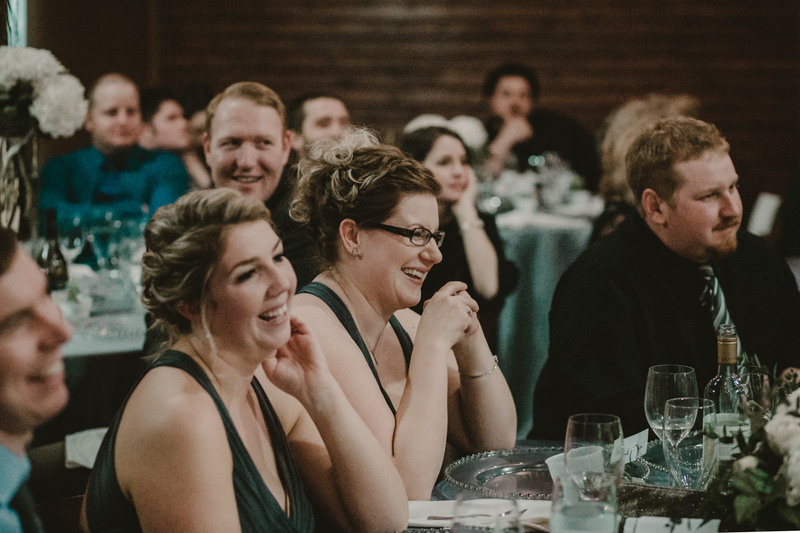 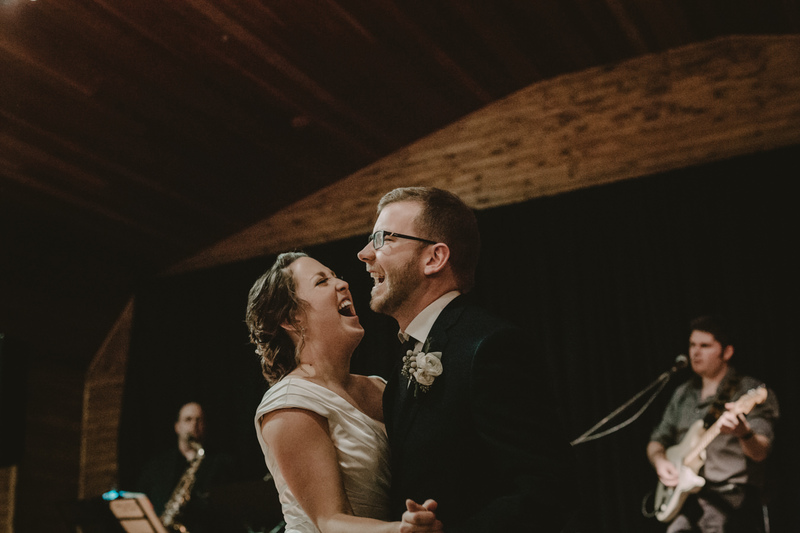 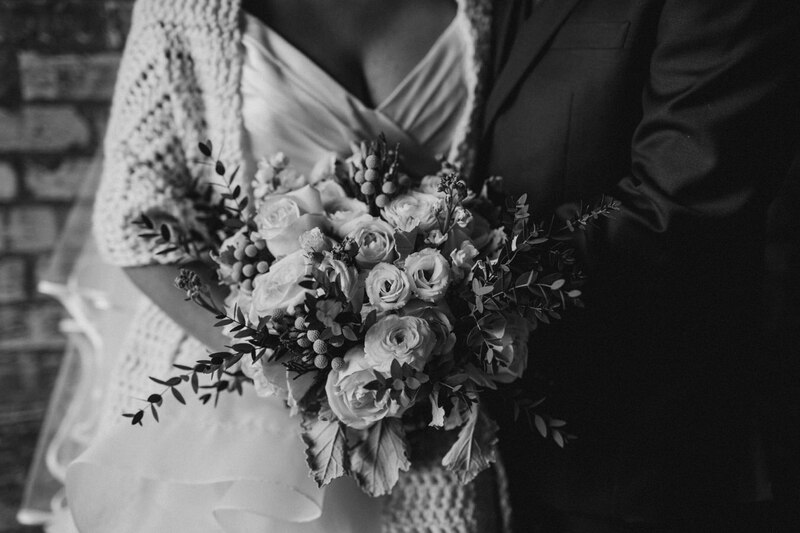 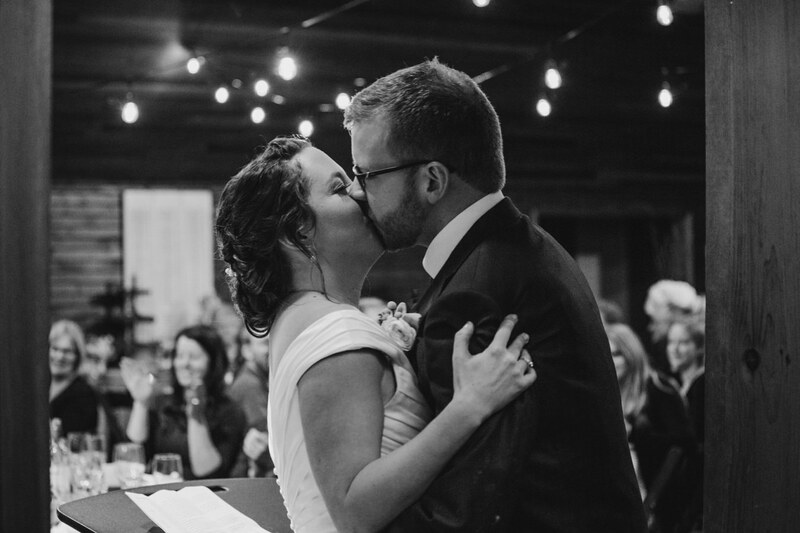 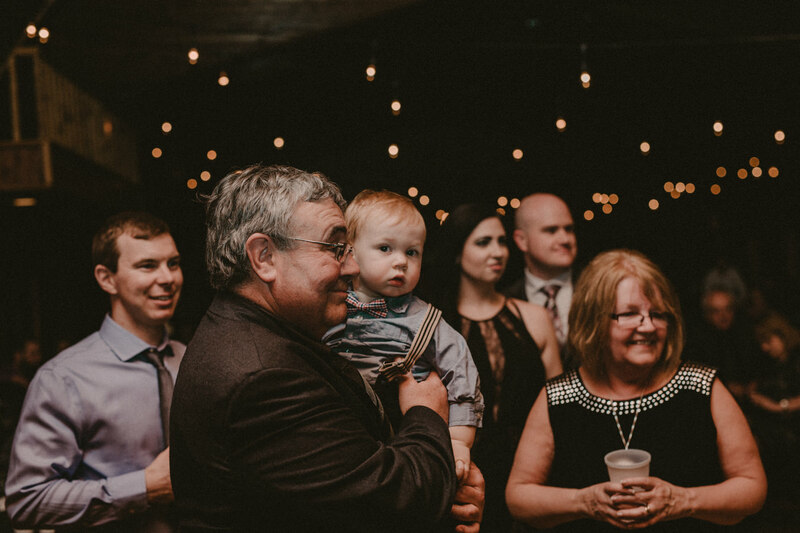 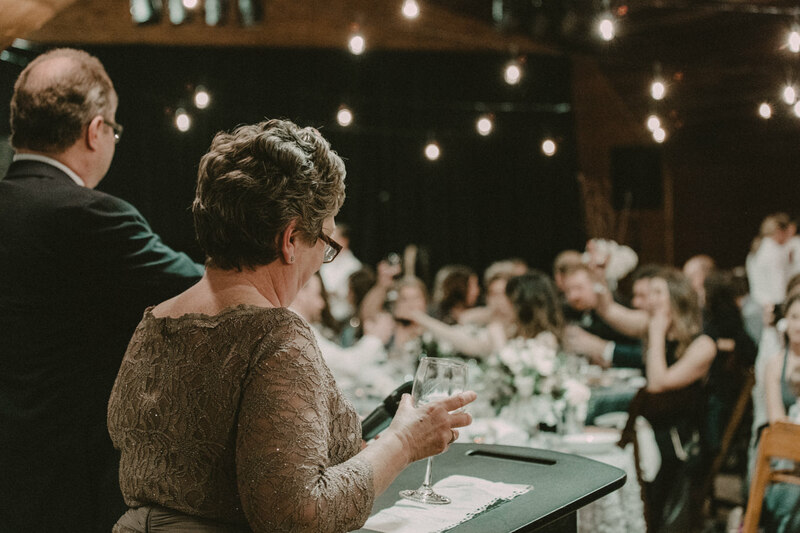 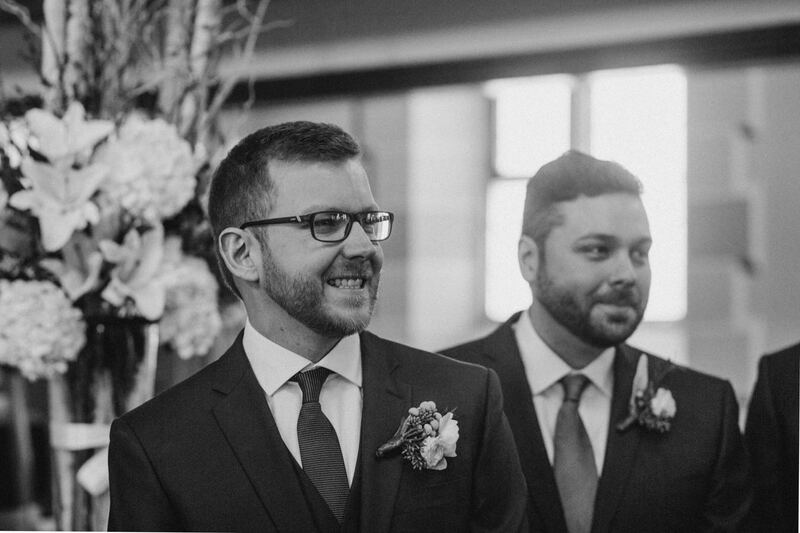 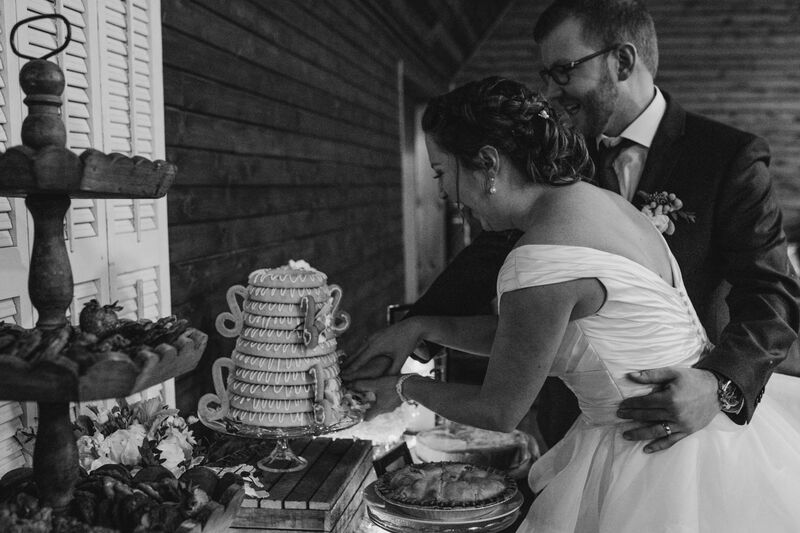 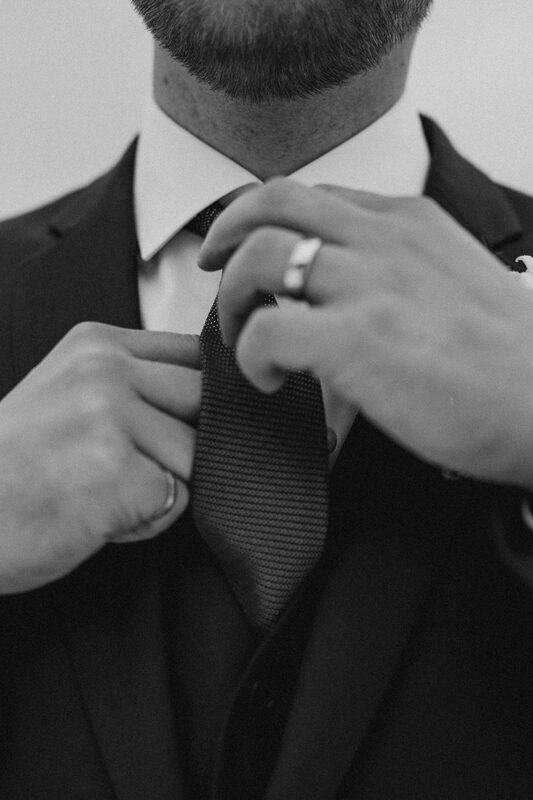 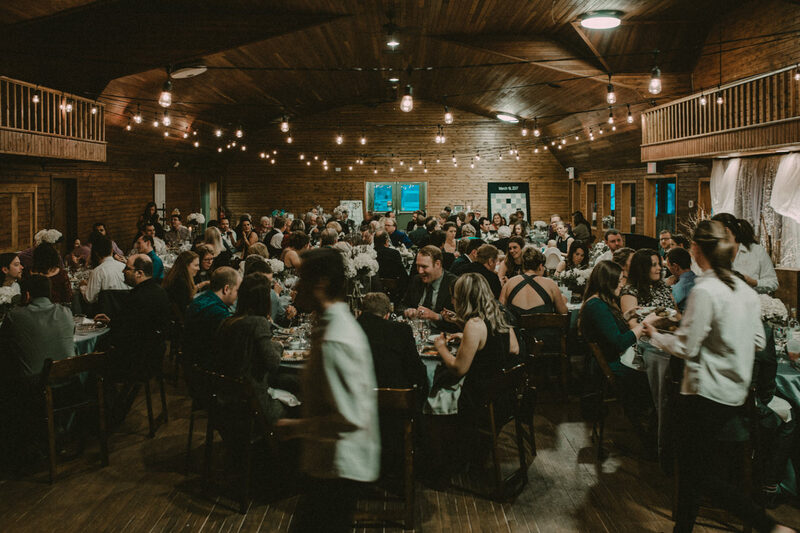 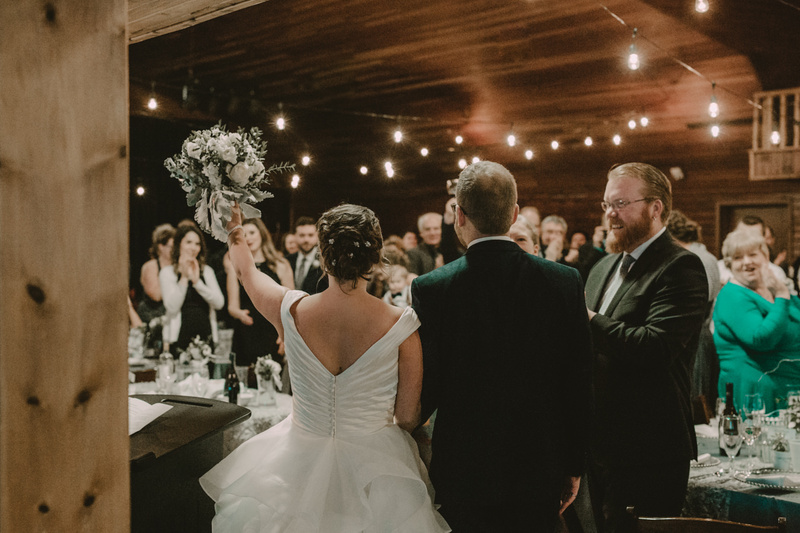 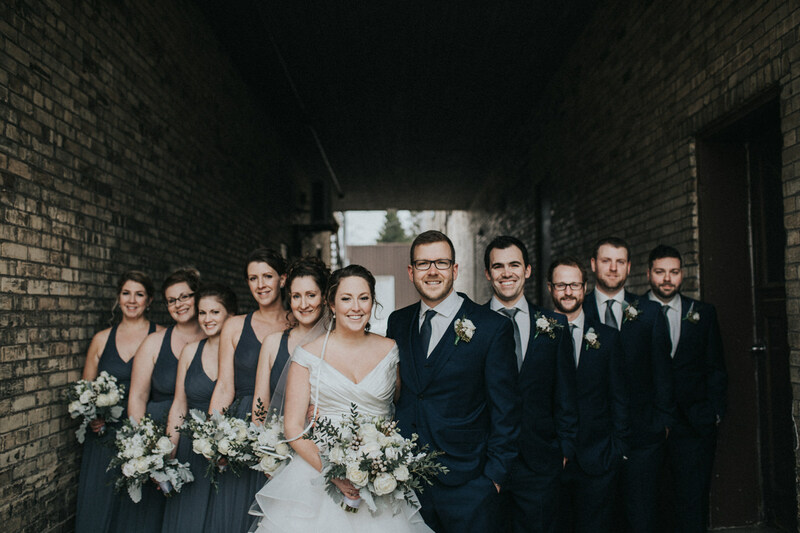 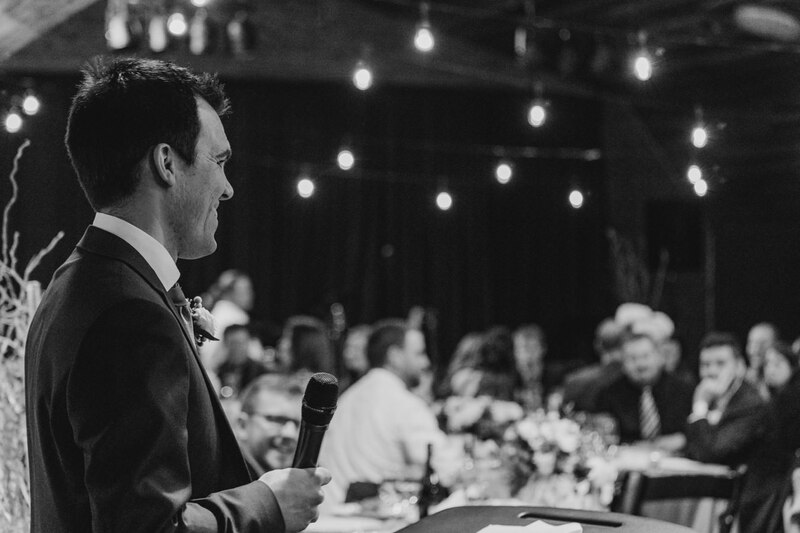 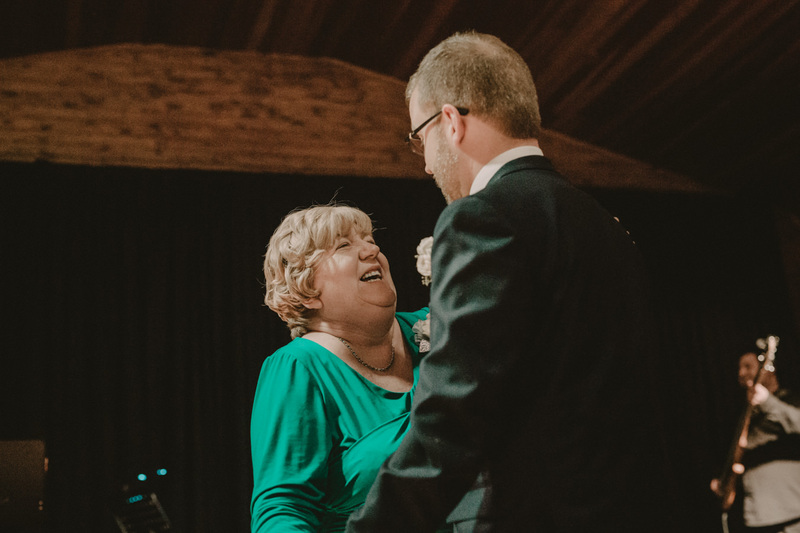 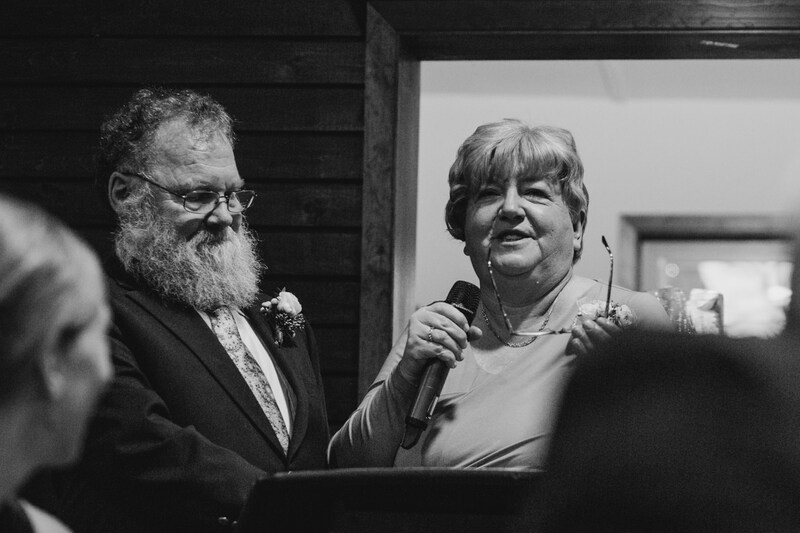 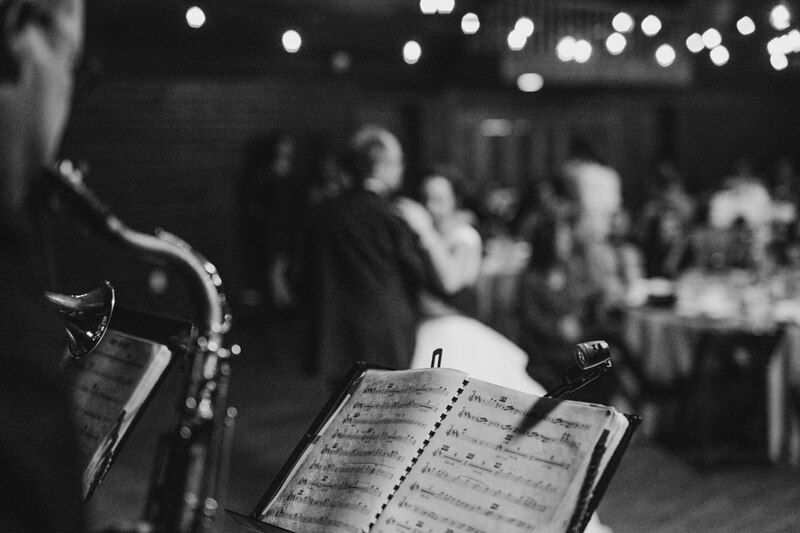 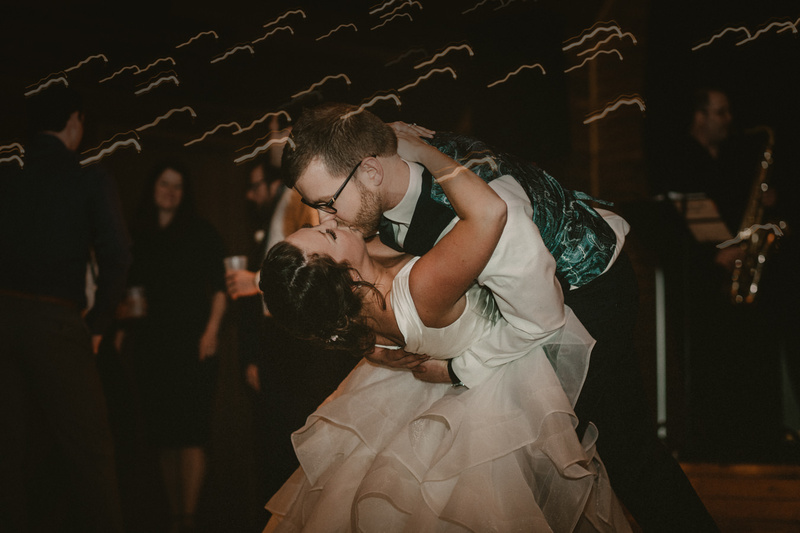 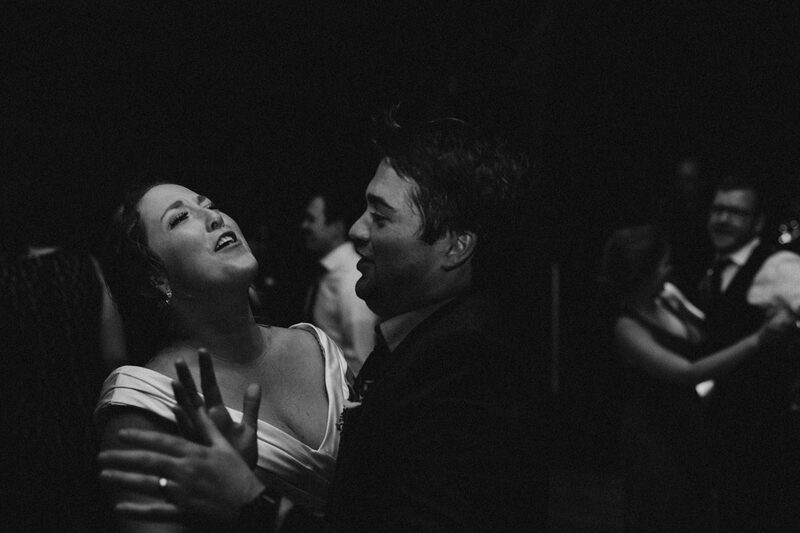 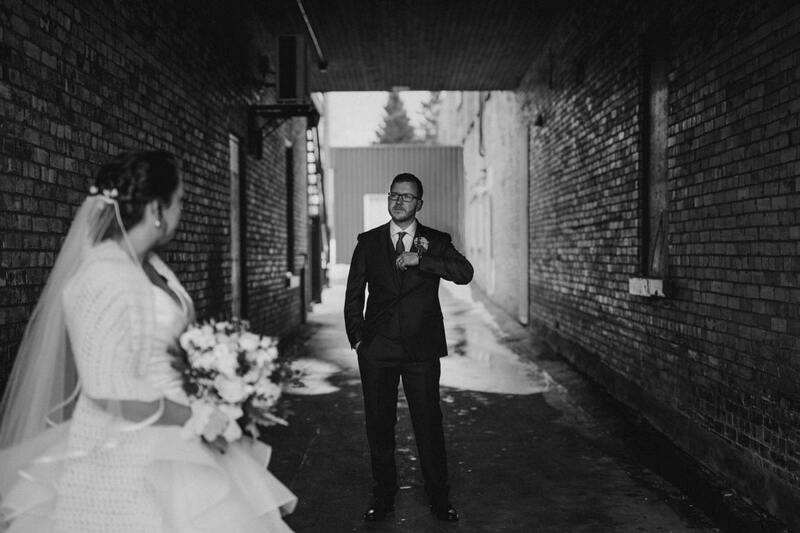 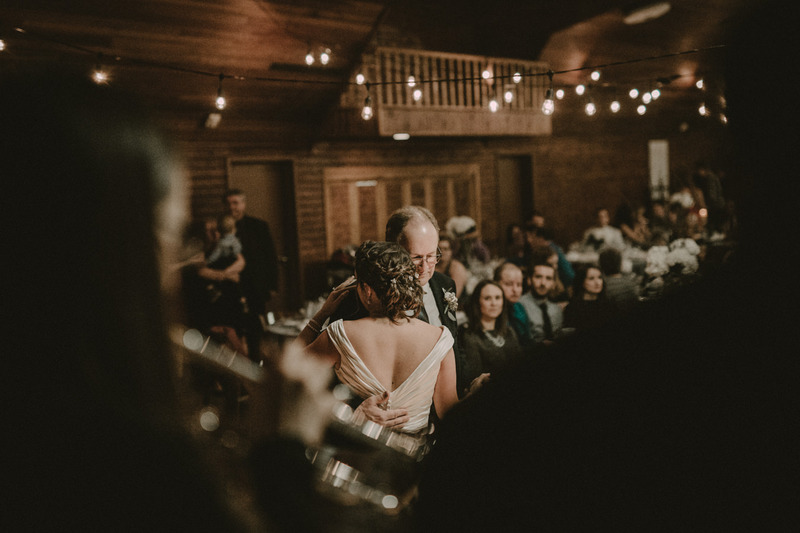 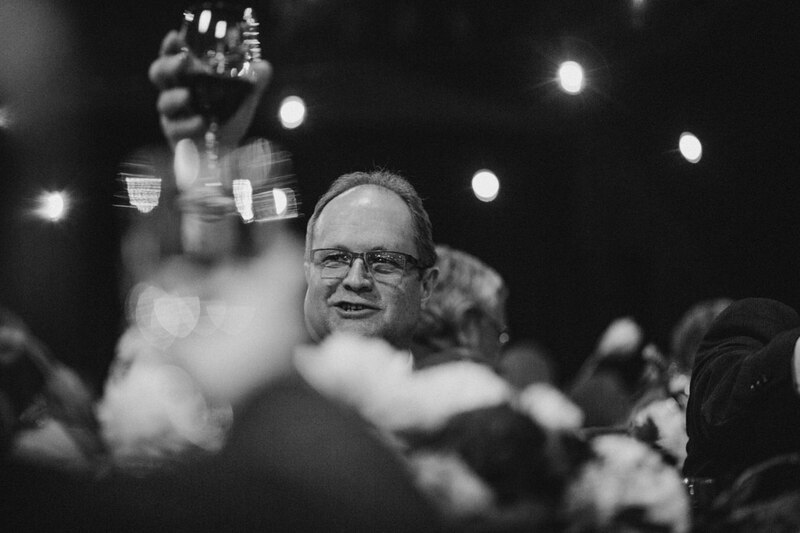 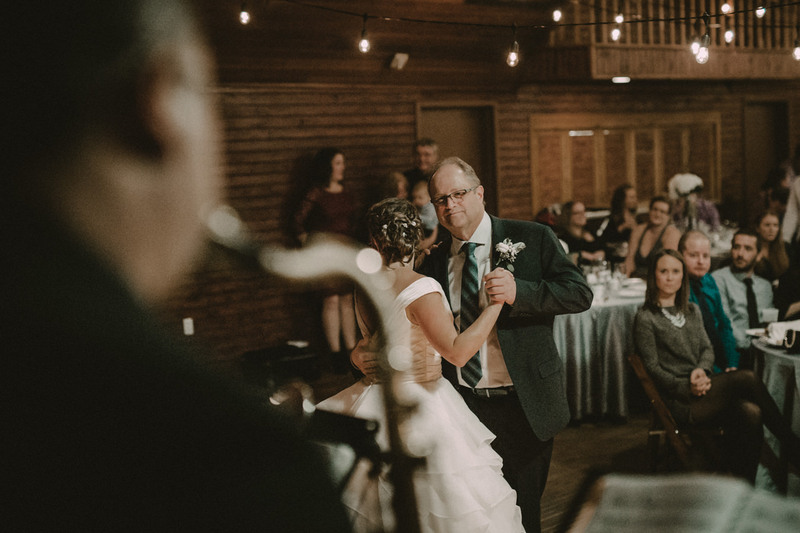 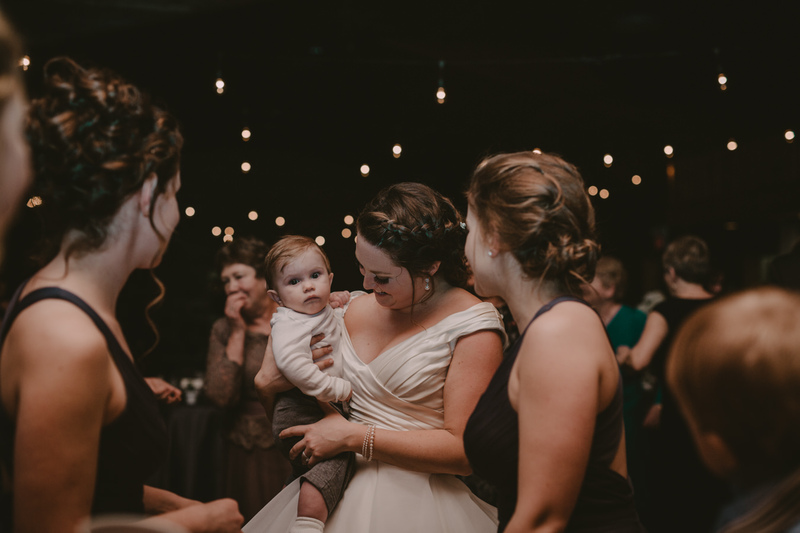 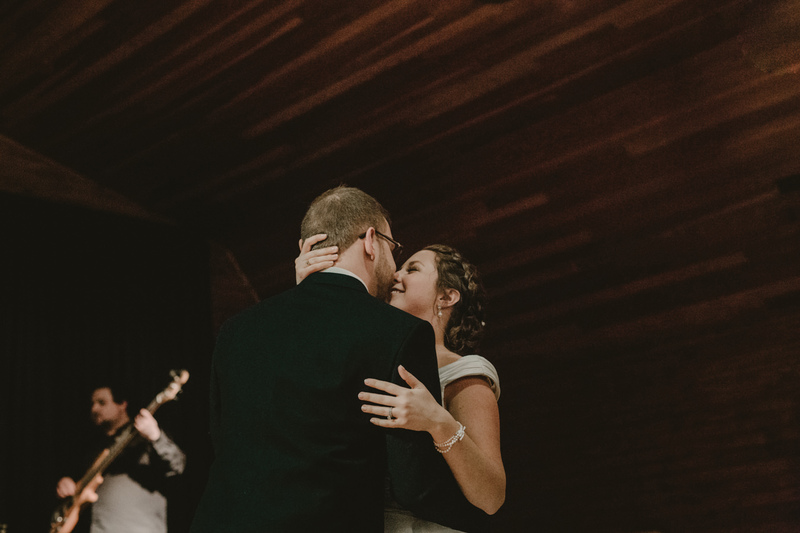 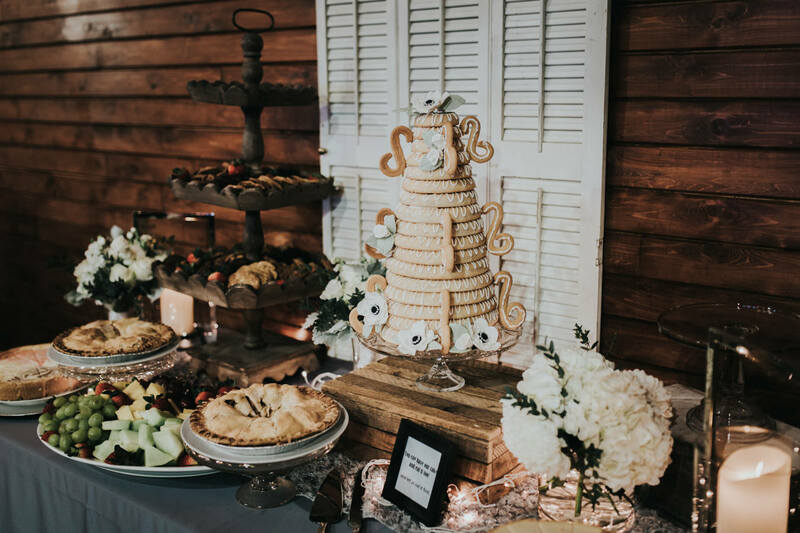 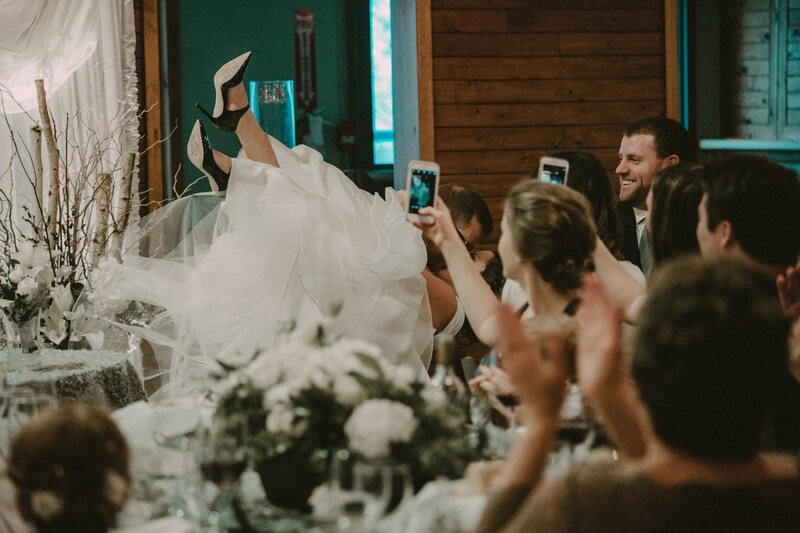 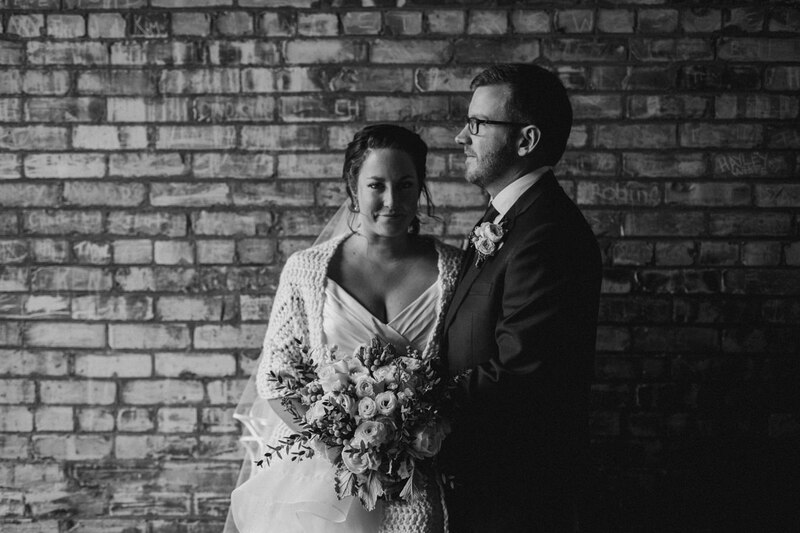 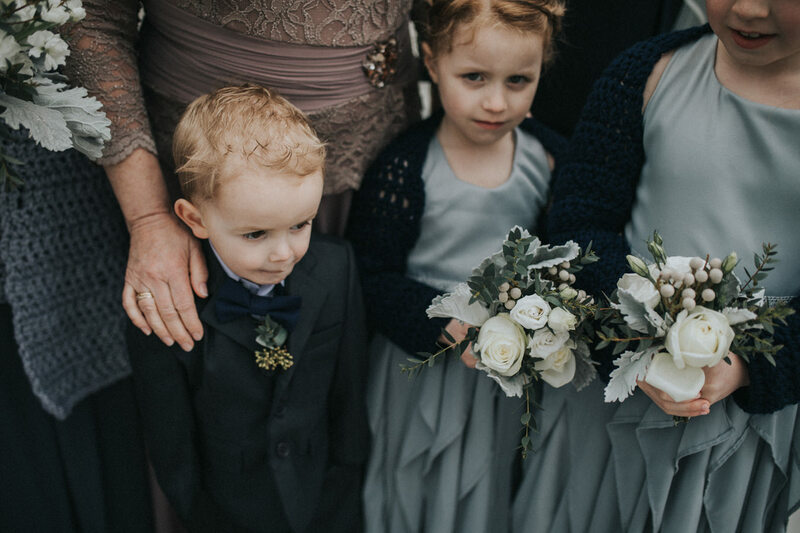 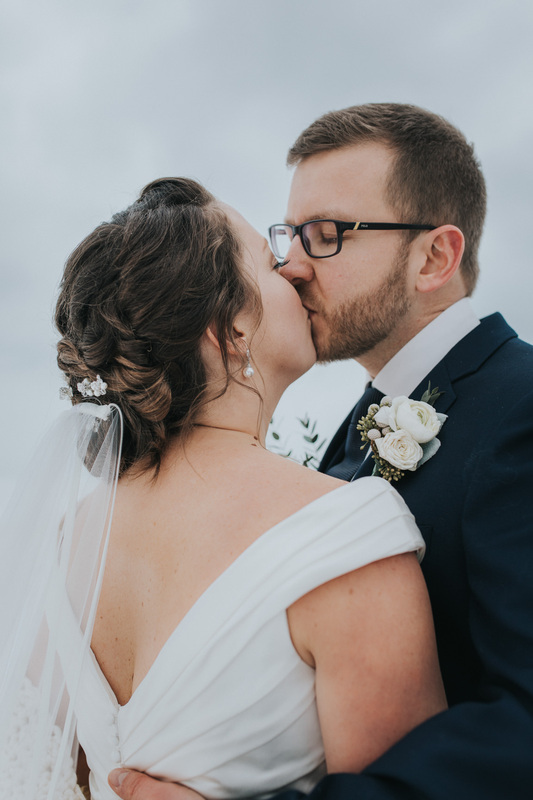 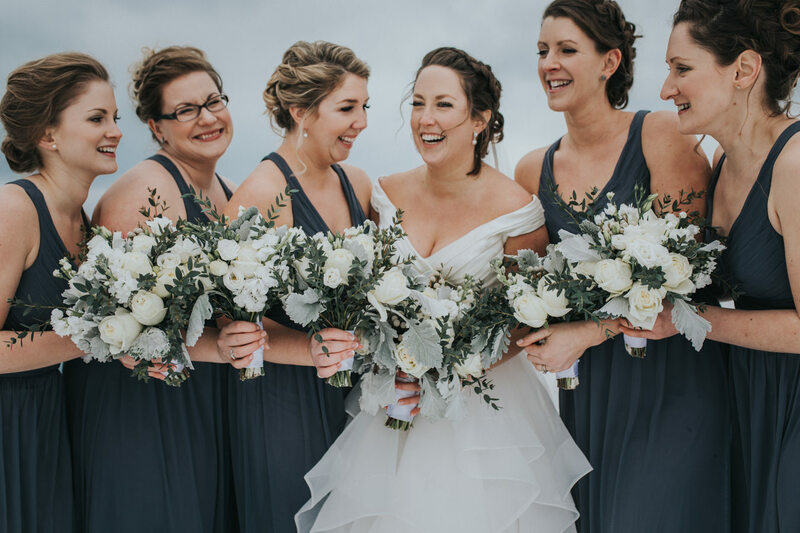 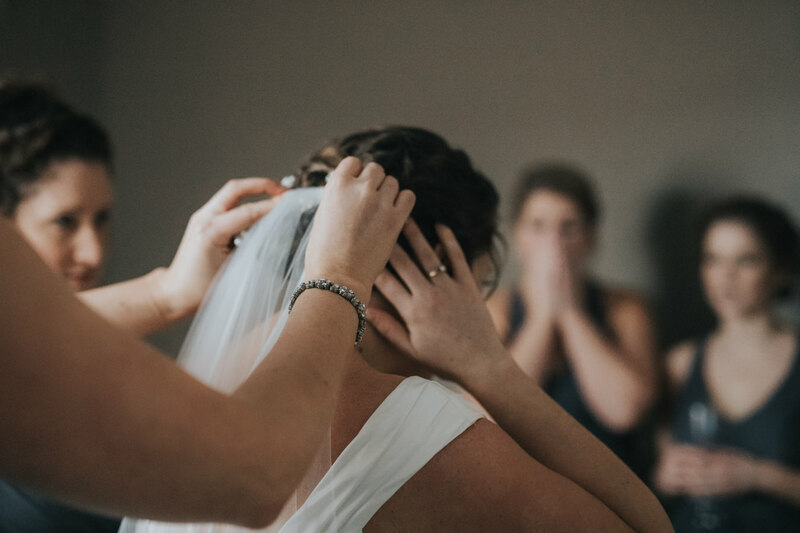 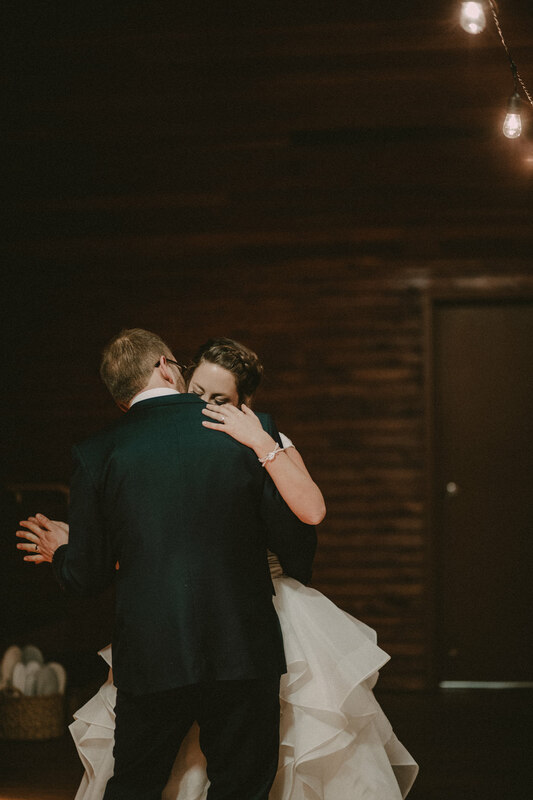 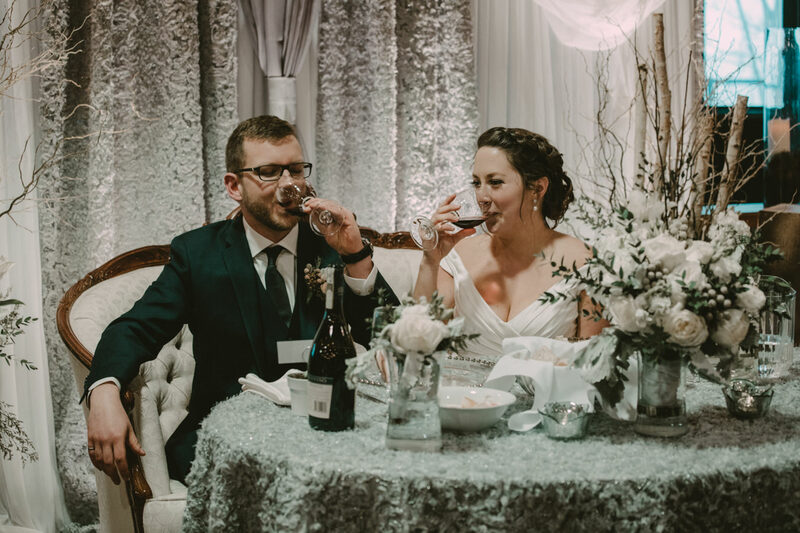 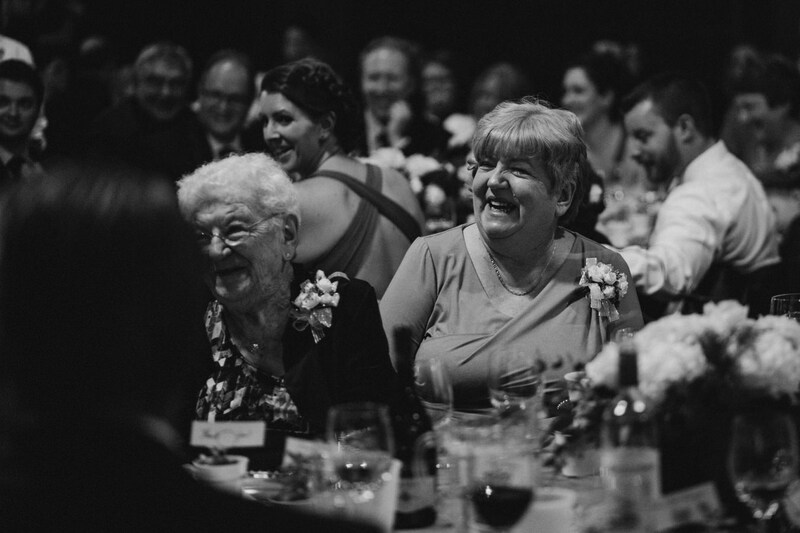 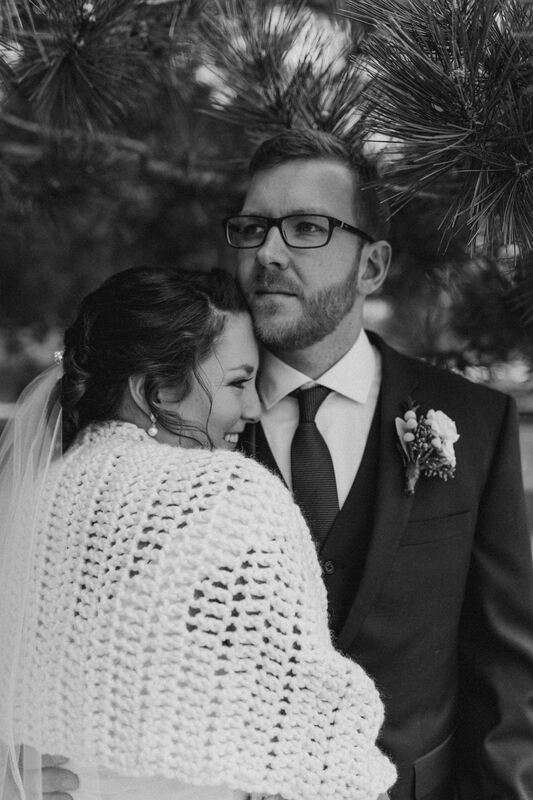 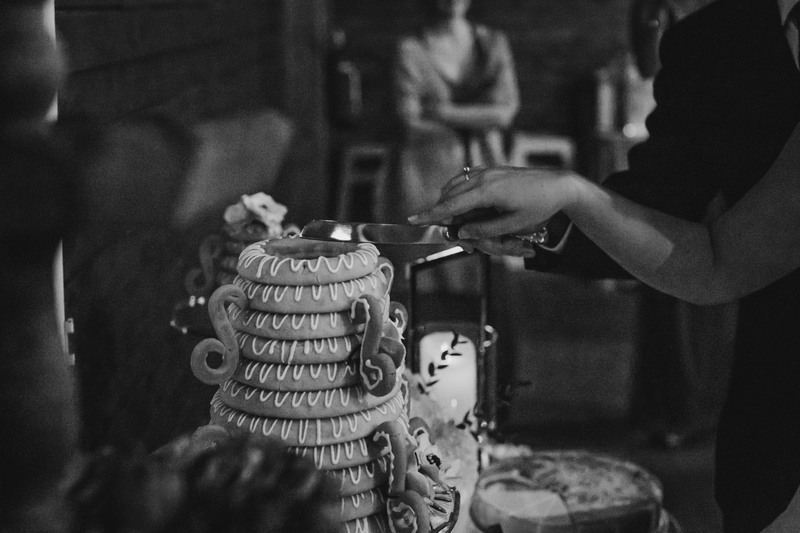 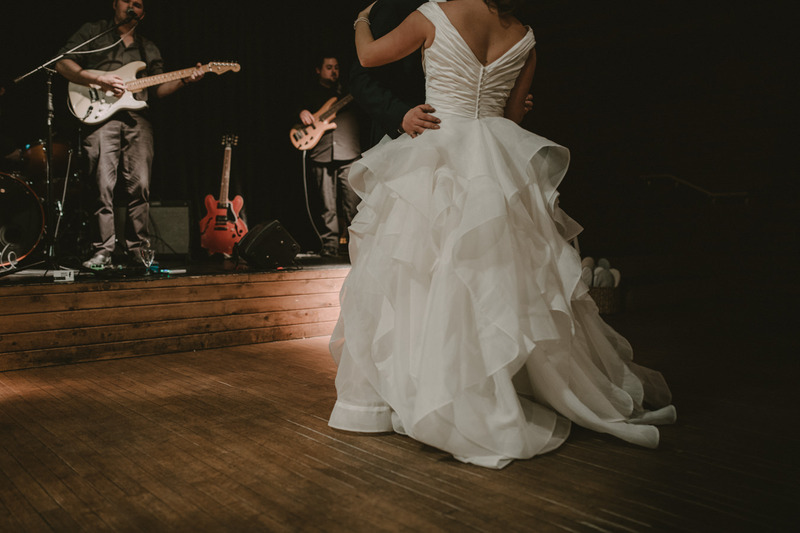 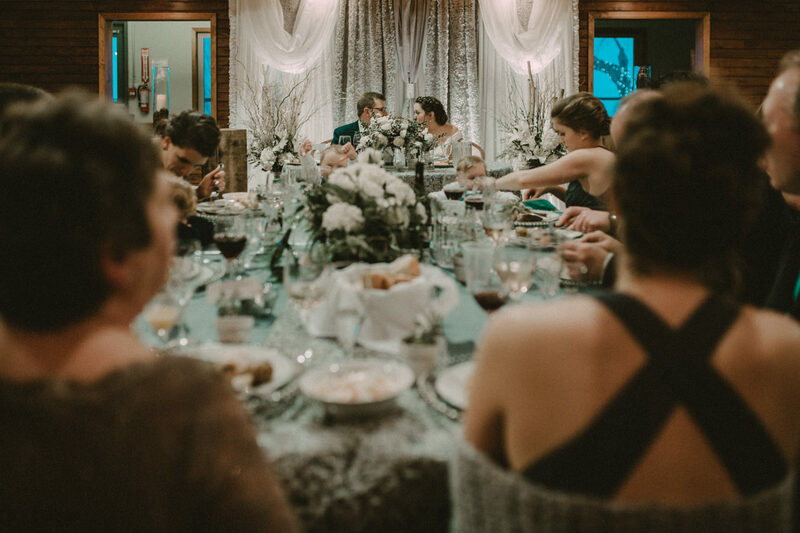 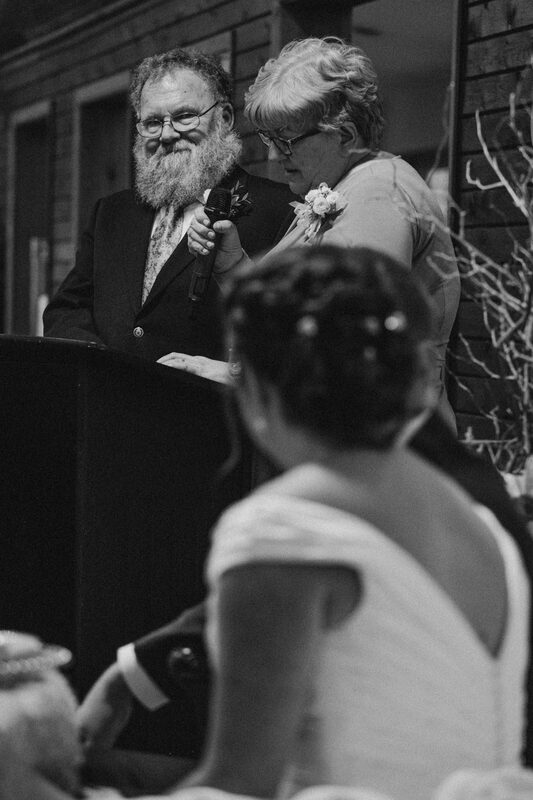 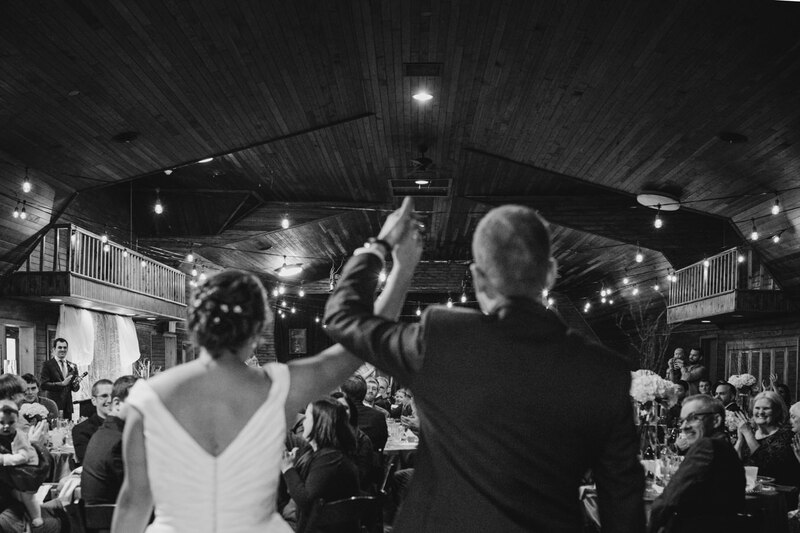 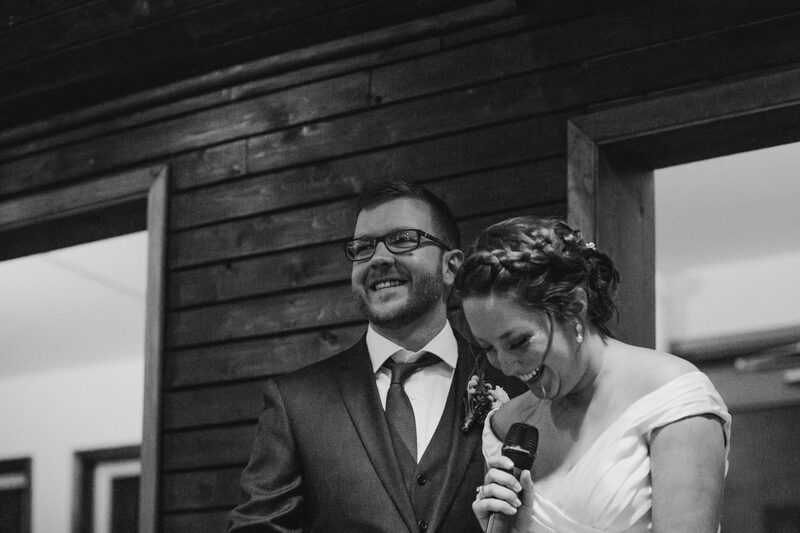 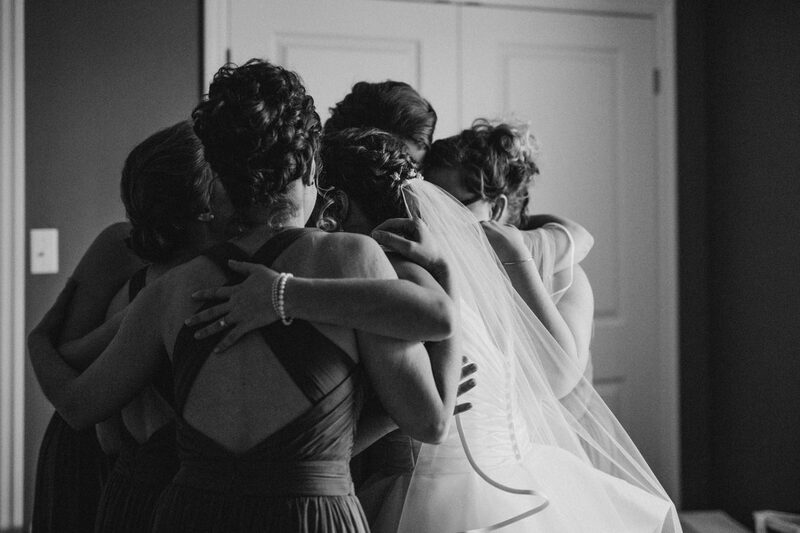 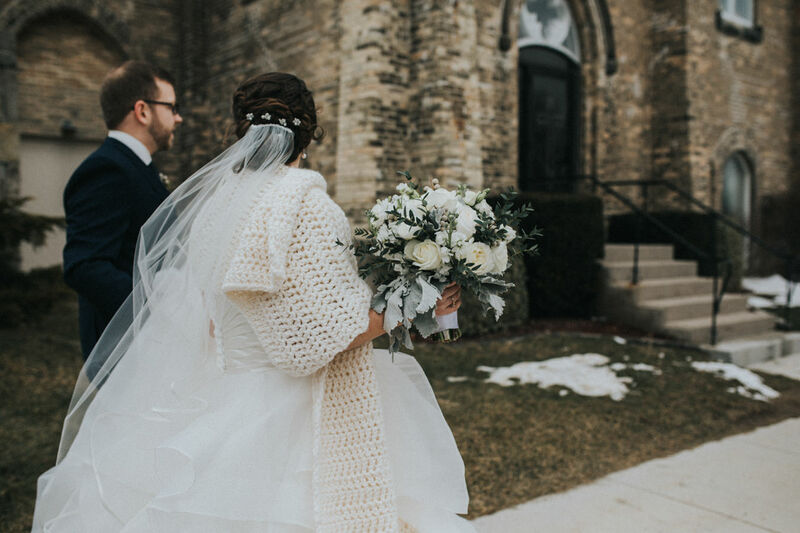 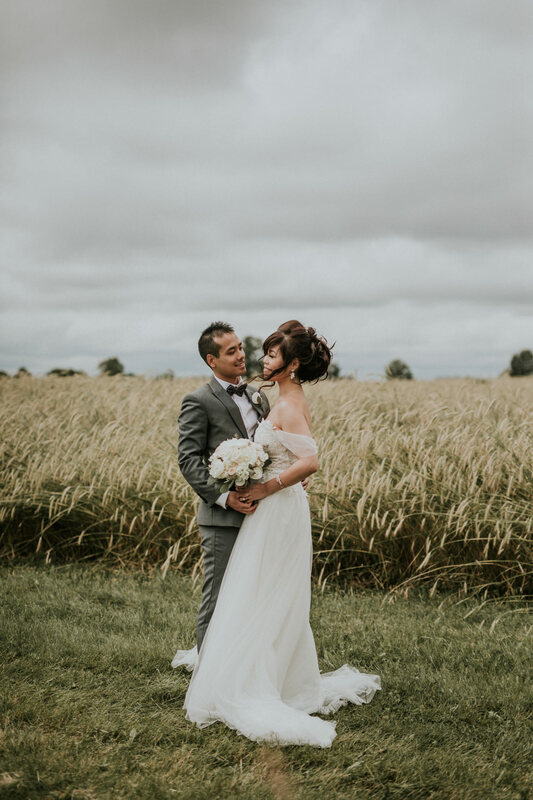 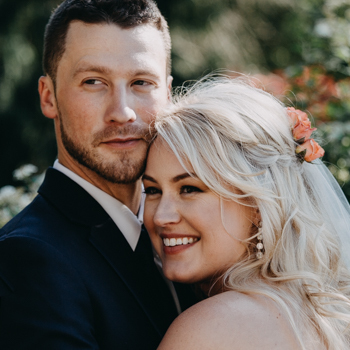 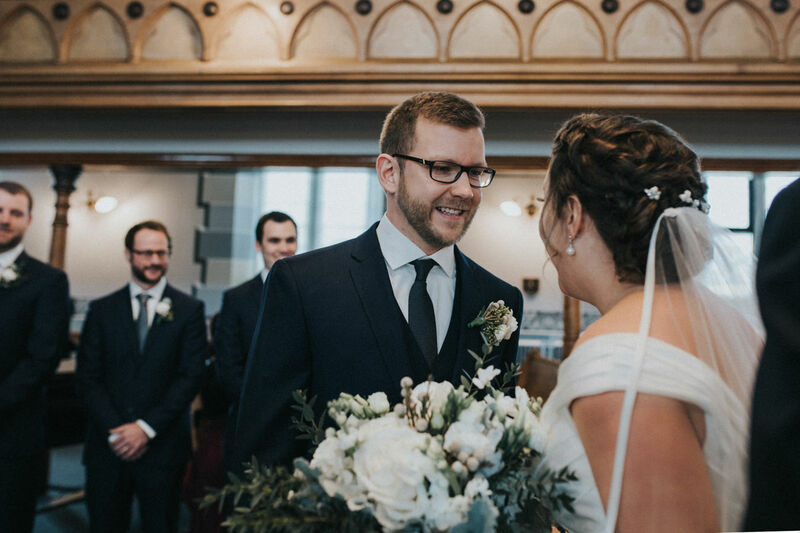 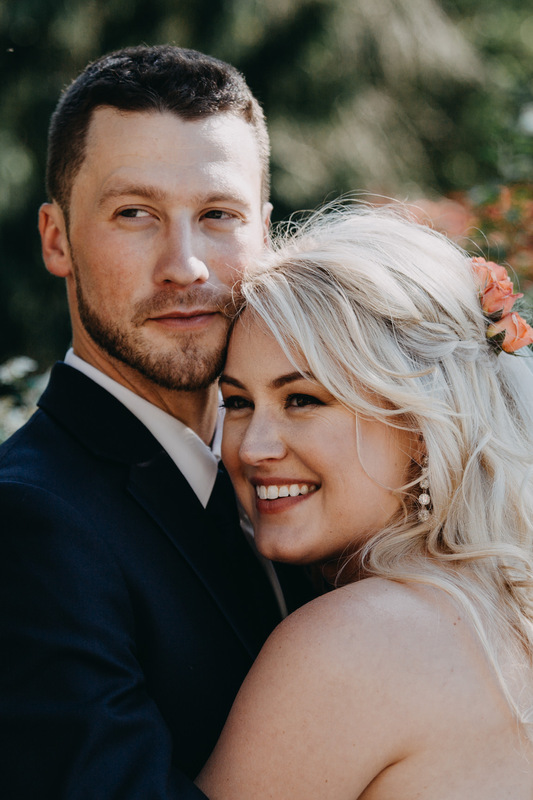 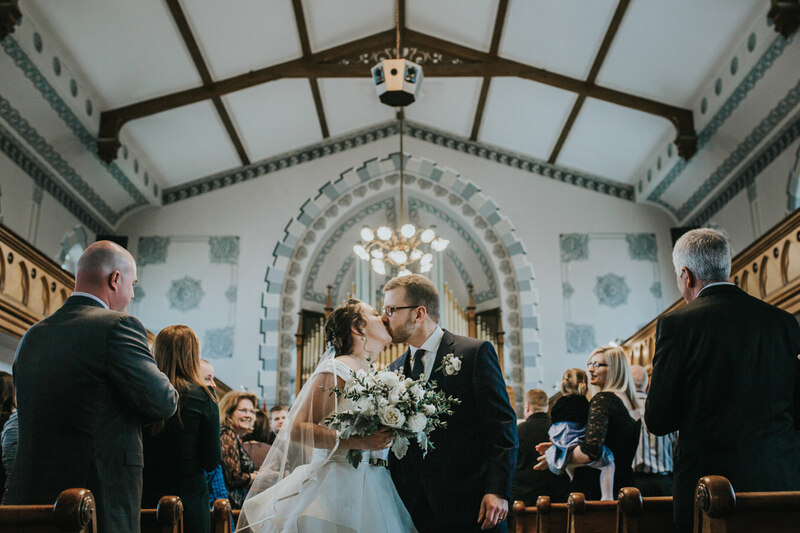 The scene of their reception, the Kincardine Pavilion, was a cozy, rustic retreat from the cold weather outside, where they celebrated with dinner and speeches. 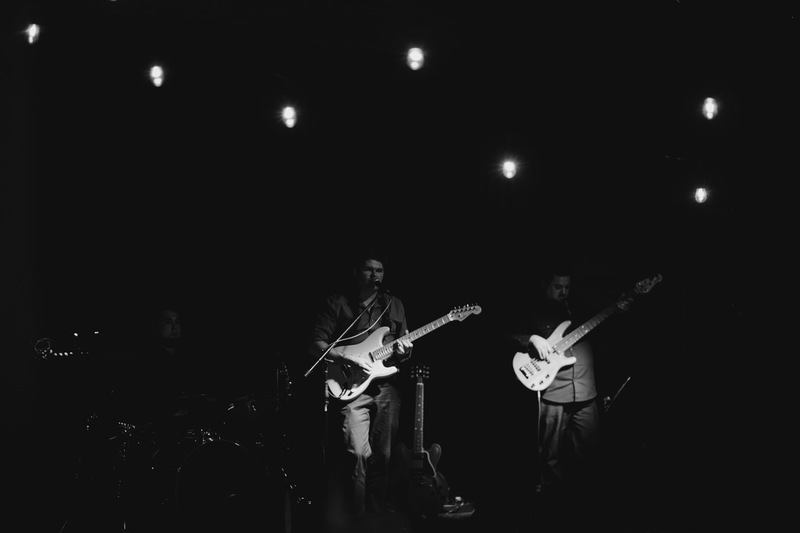 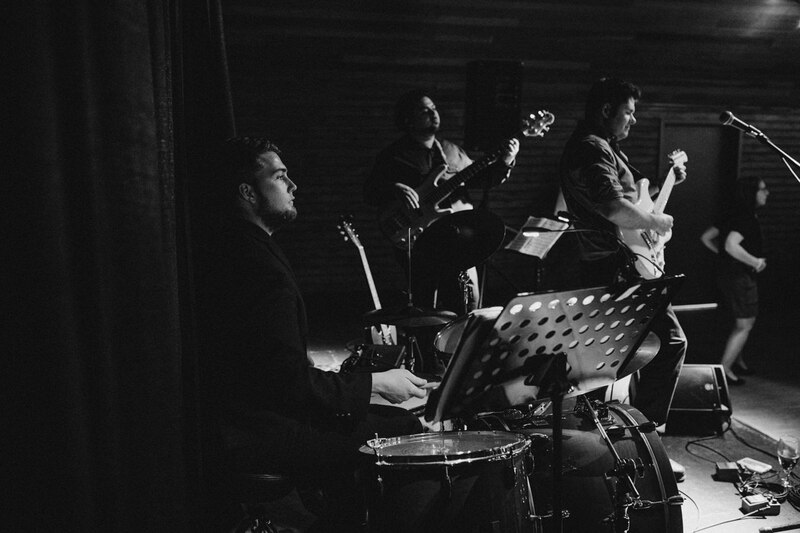 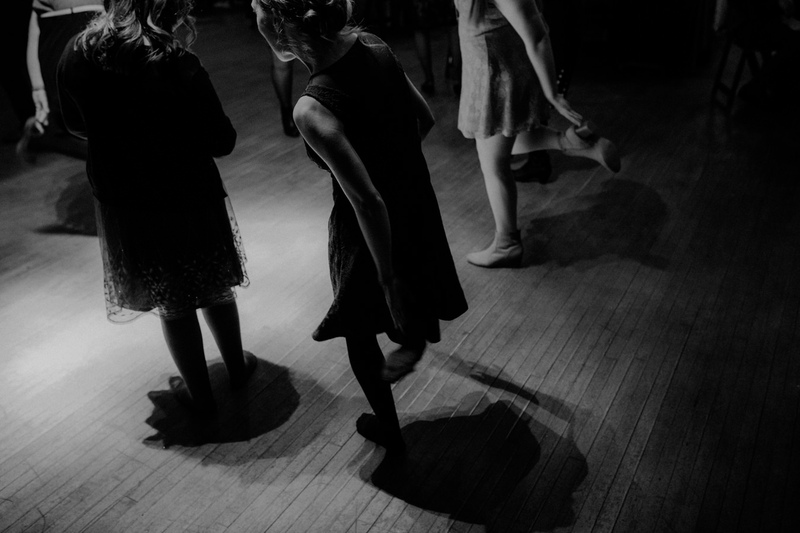 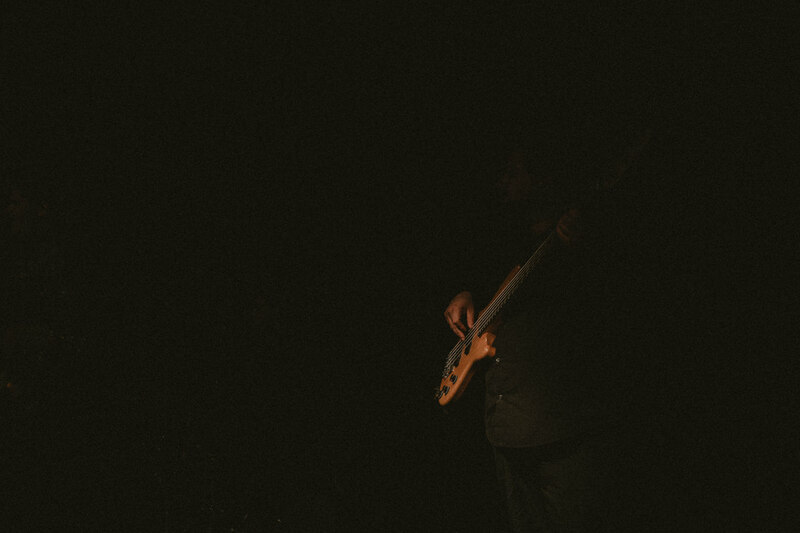 The fantastic Andre Bisson Band serenaded the energetic crowd as they danced away into the night.